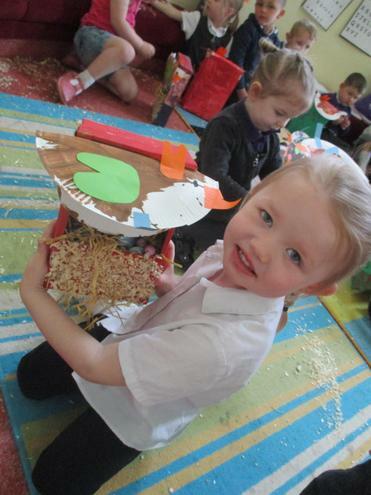 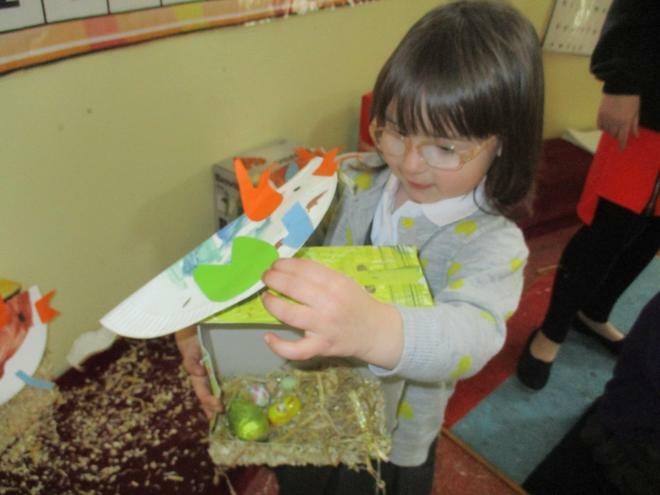 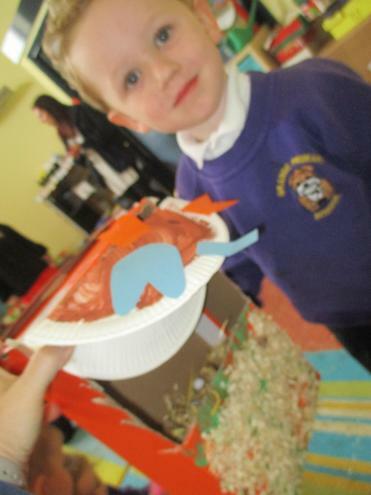 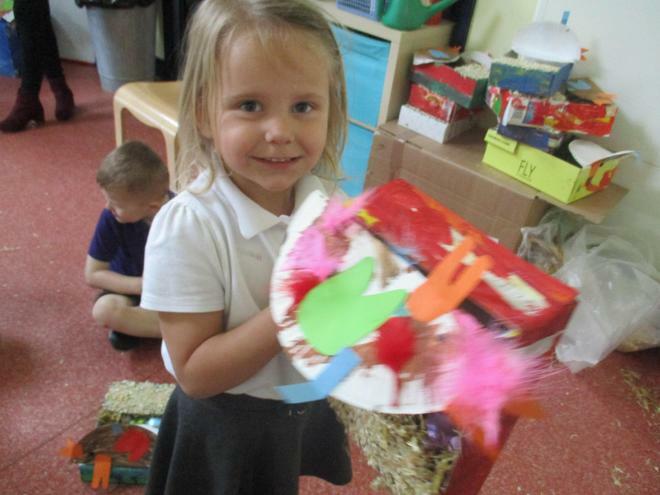 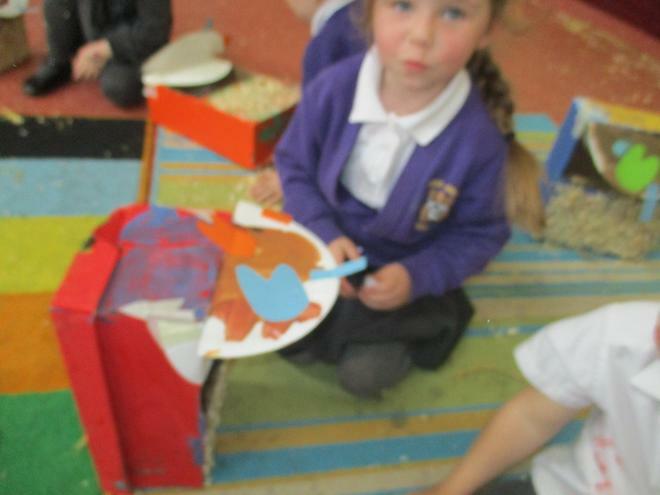 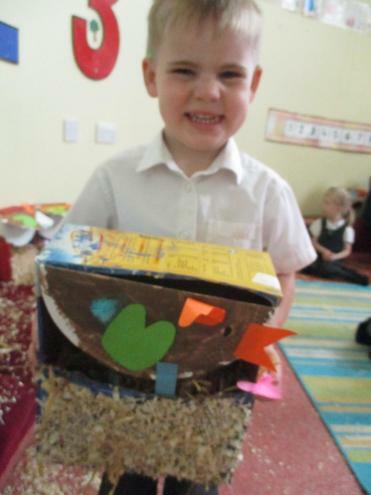 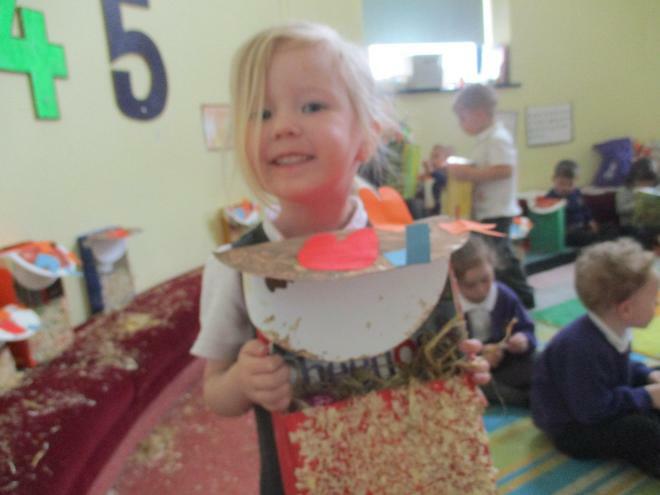 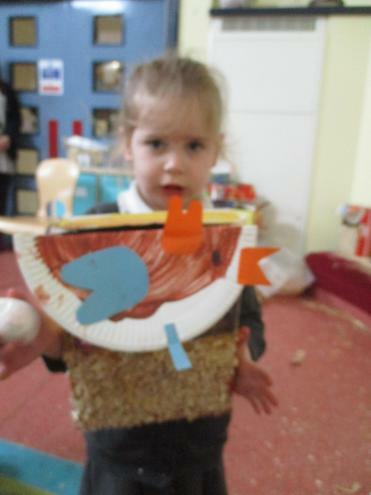 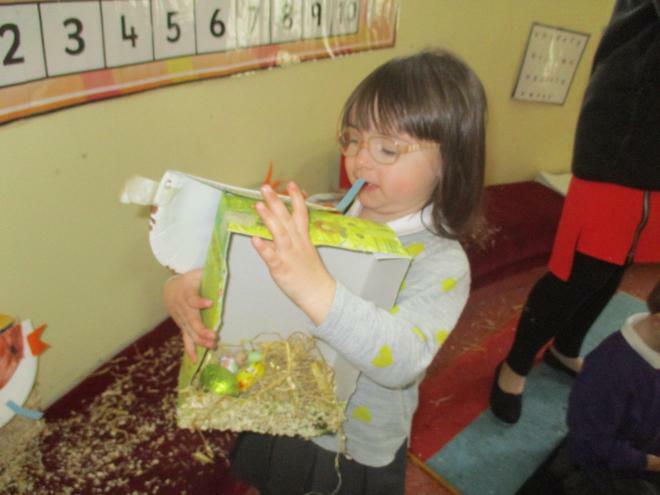 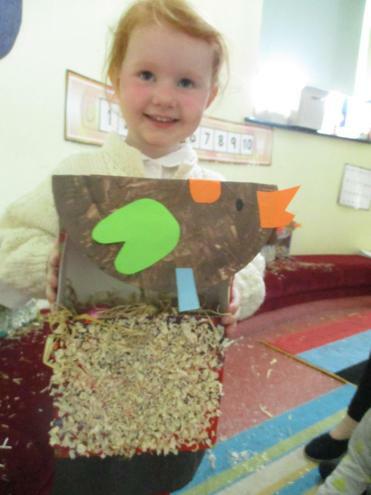 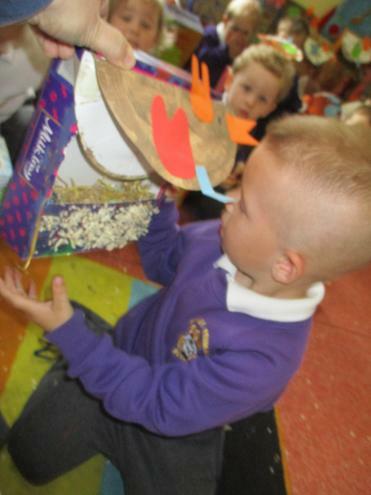 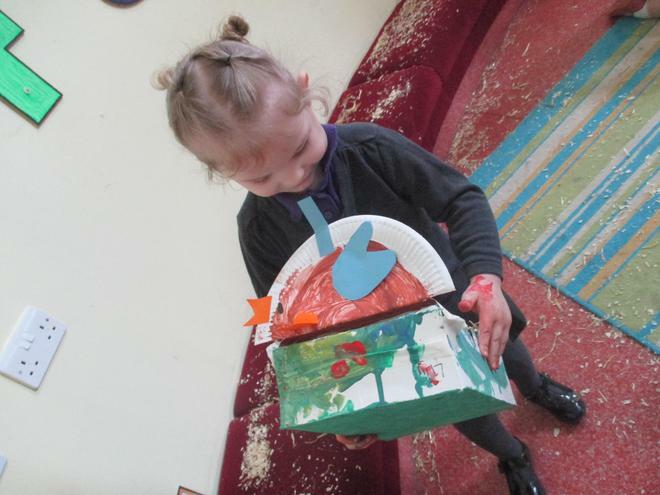 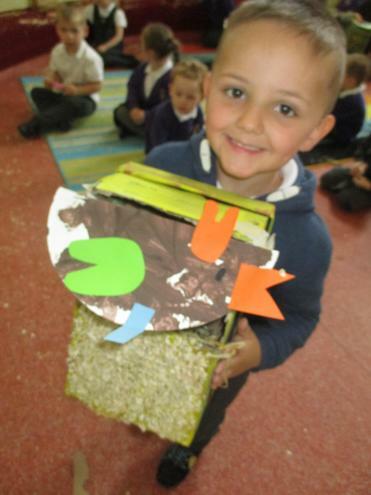 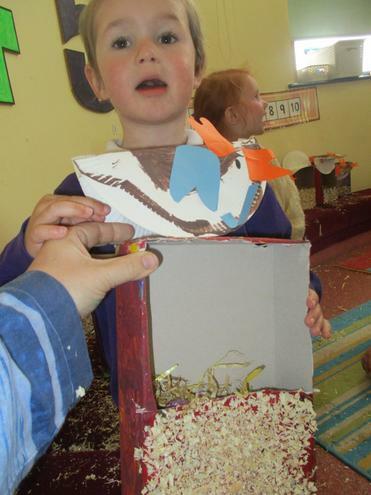 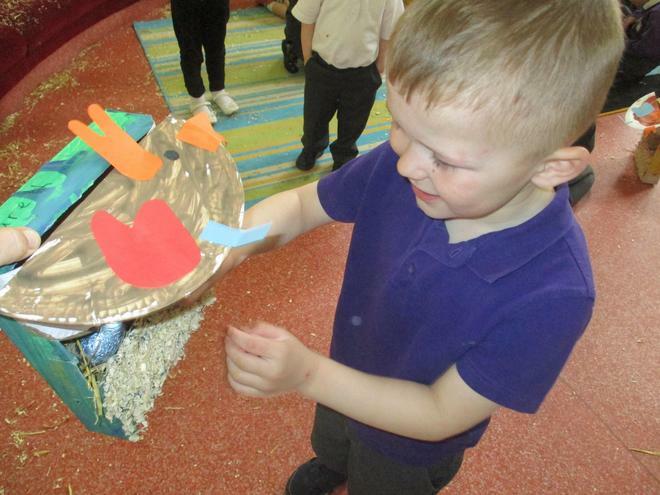 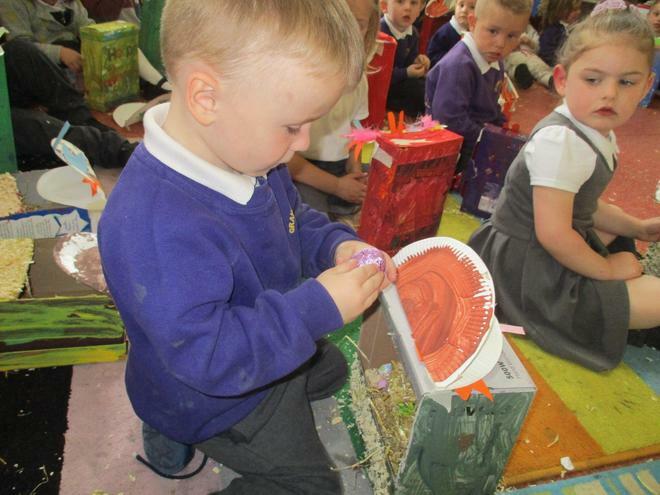 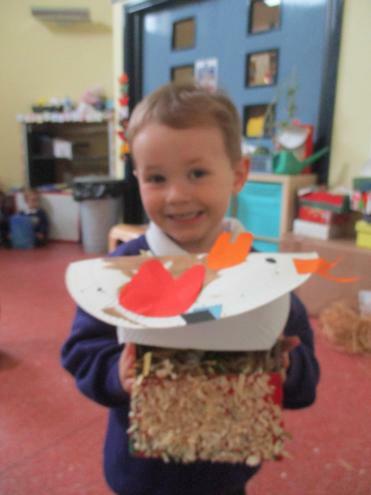 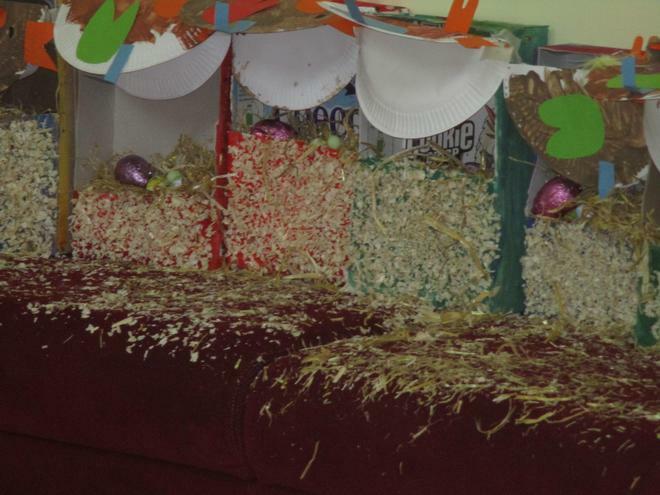 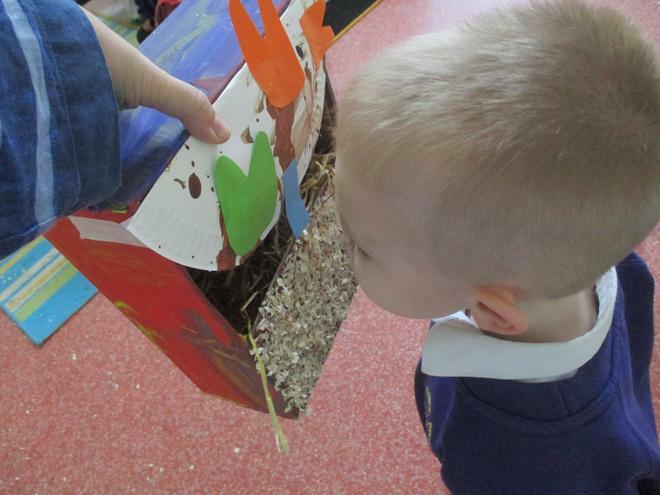 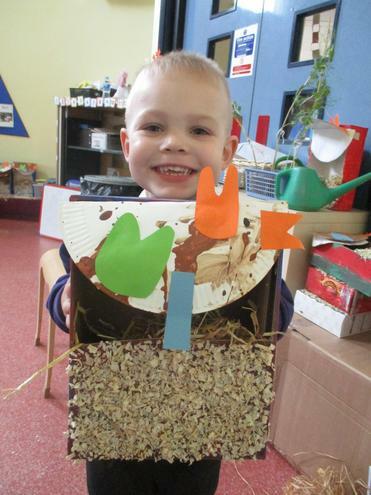 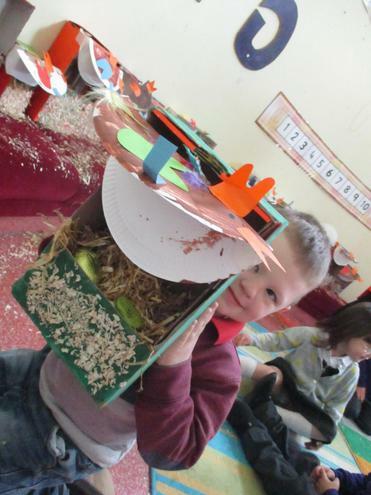 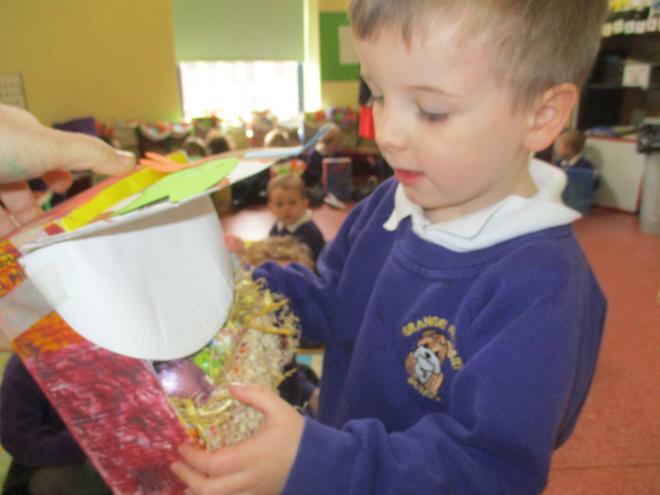 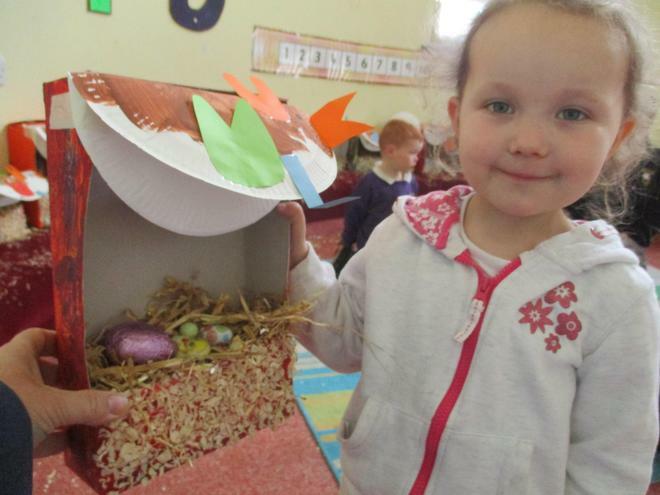 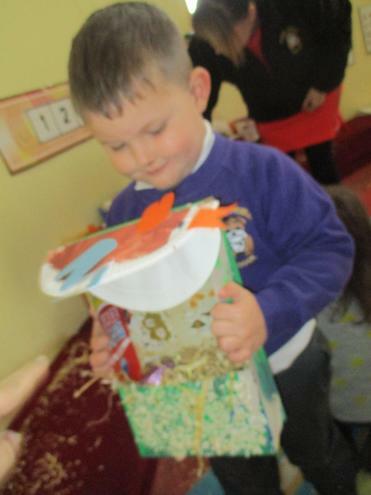 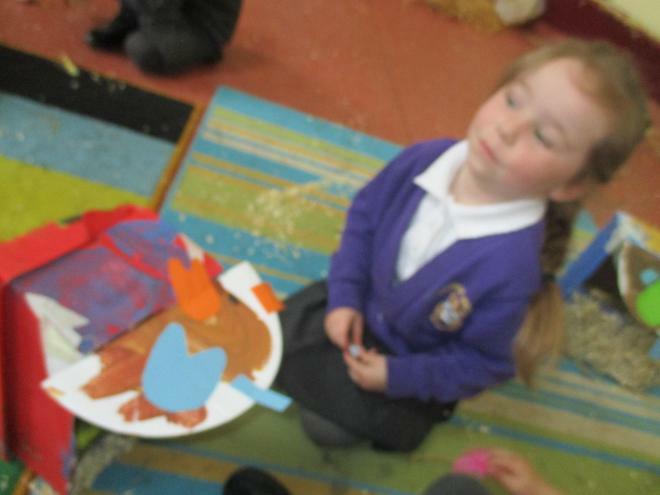 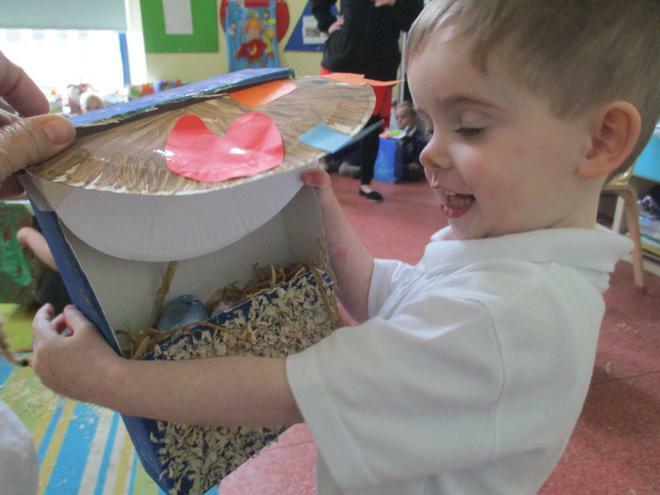 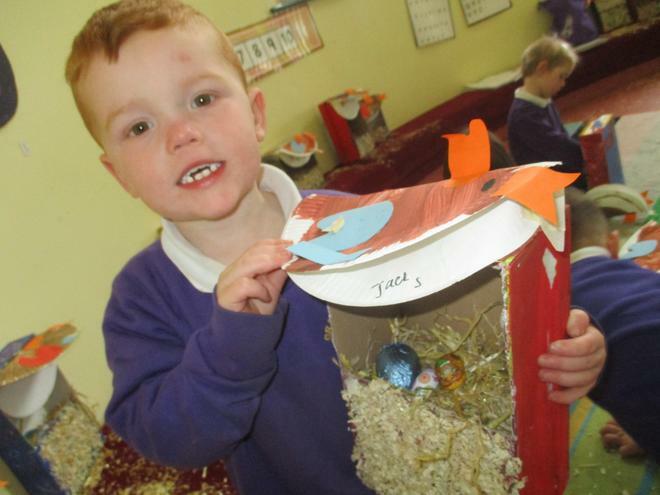 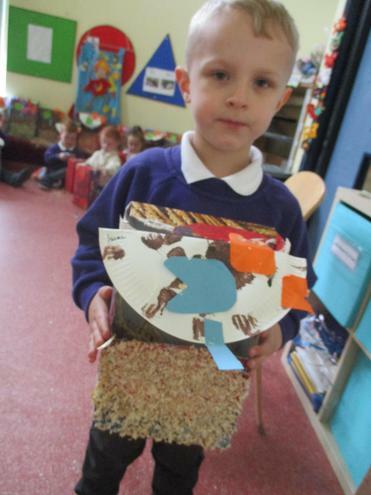 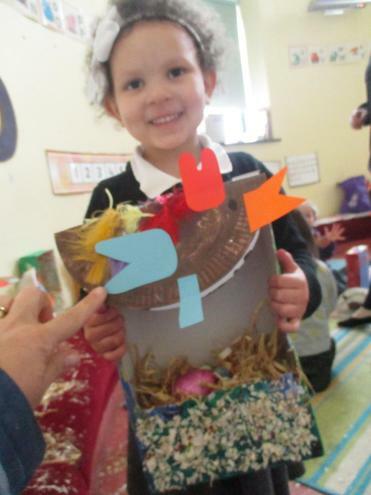 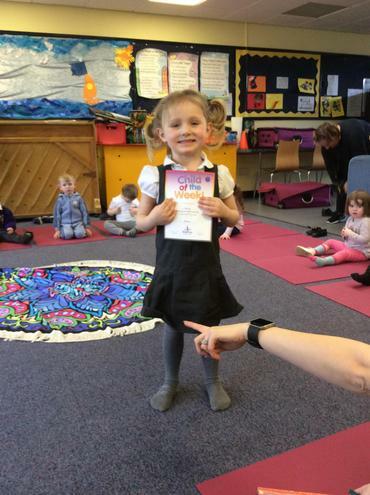 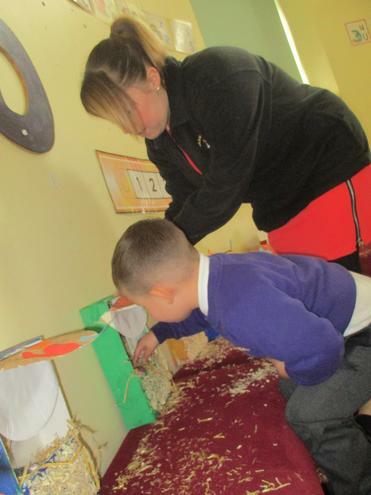 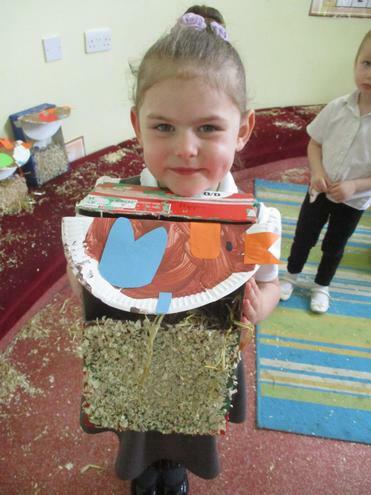 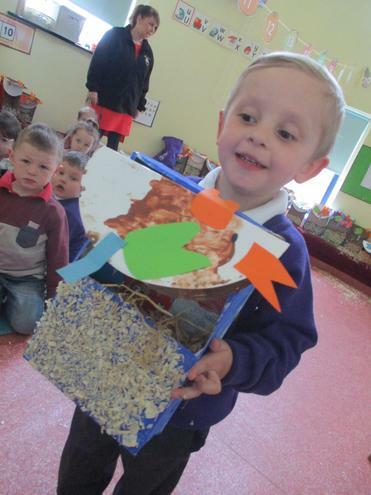 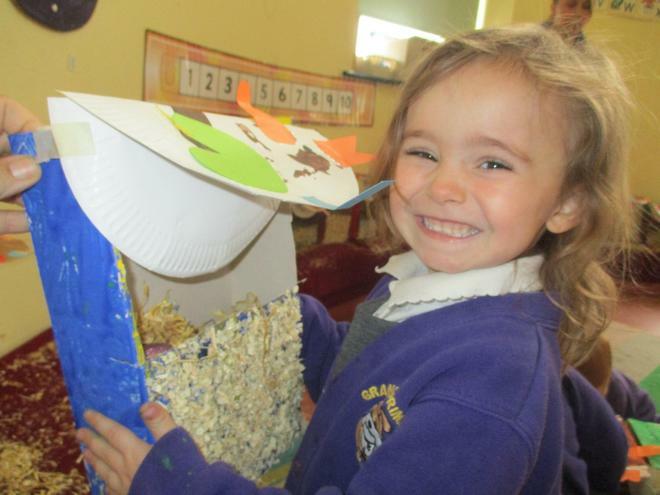 We are creative bunnies in Nursery - so the Easter one paid us a visit! 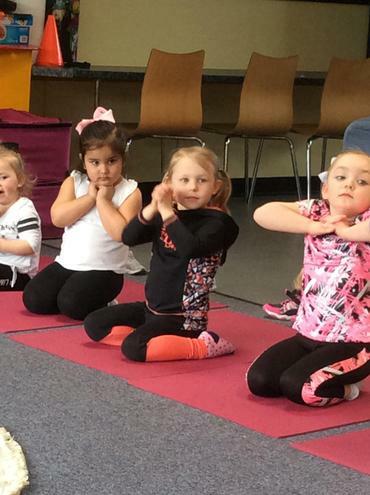 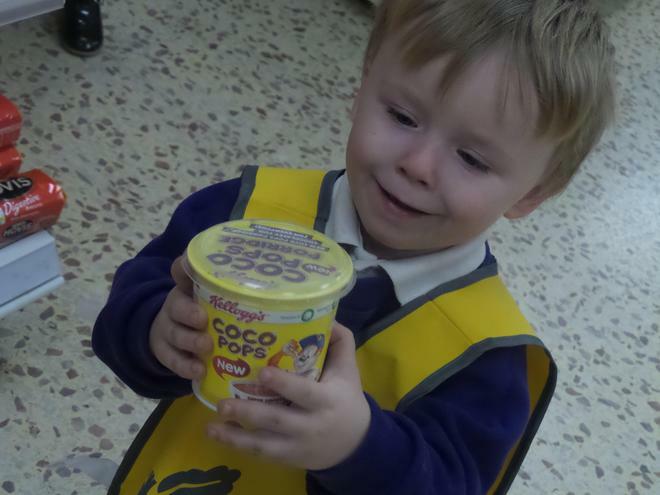 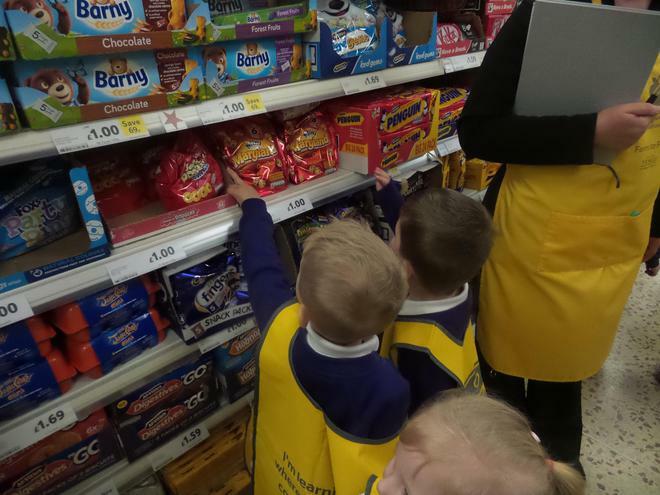 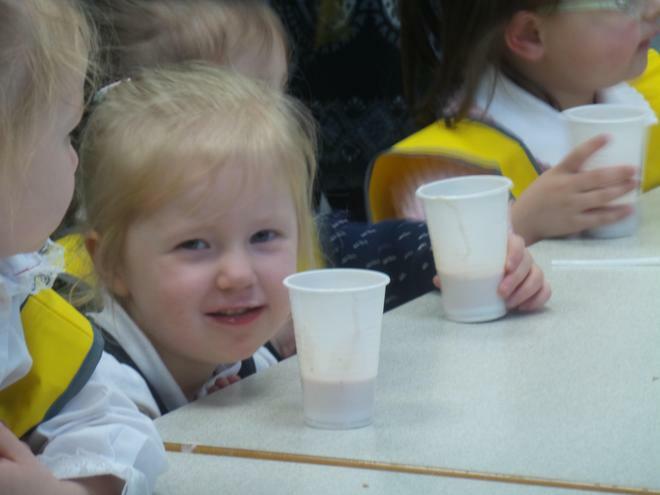 Have you asked your child "Why can't we have chocolate for breakfast?" 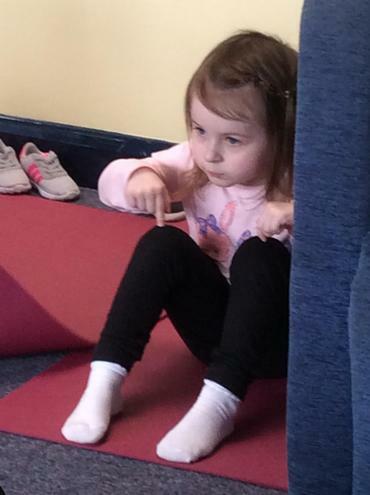 yet? 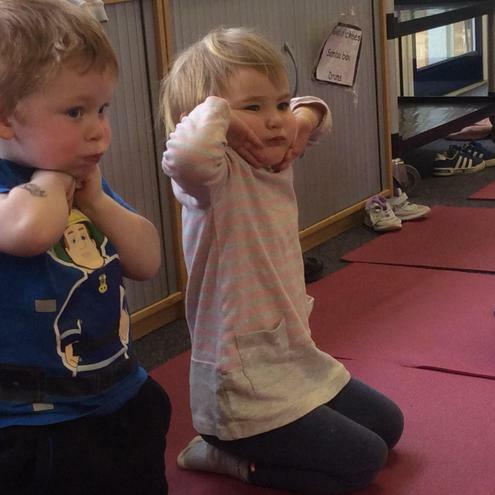 It would be great if you could discuss this with your child. 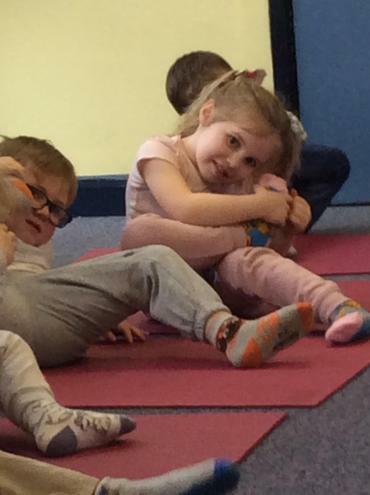 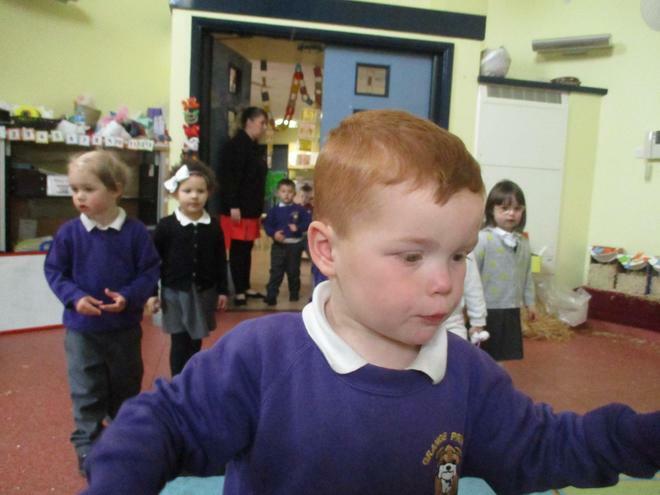 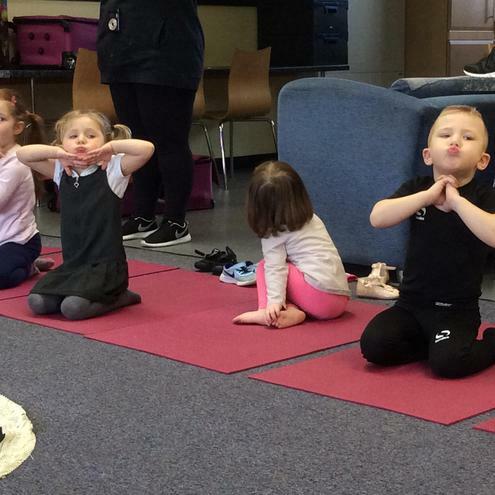 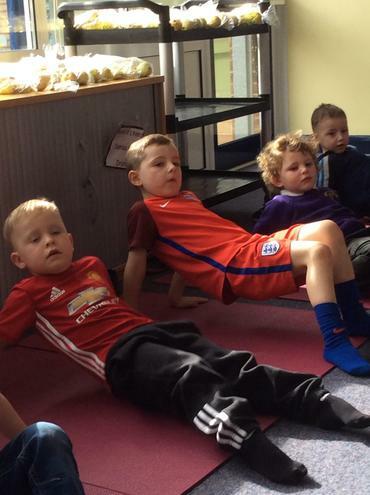 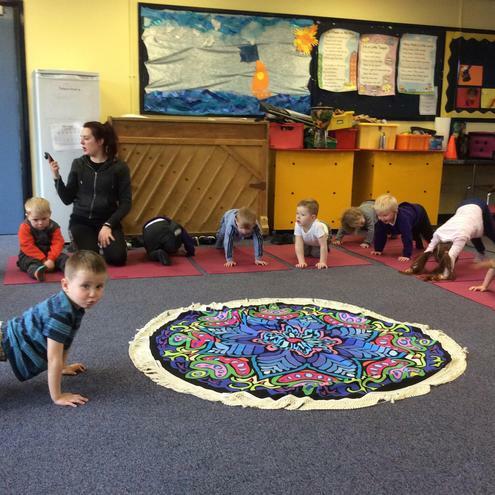 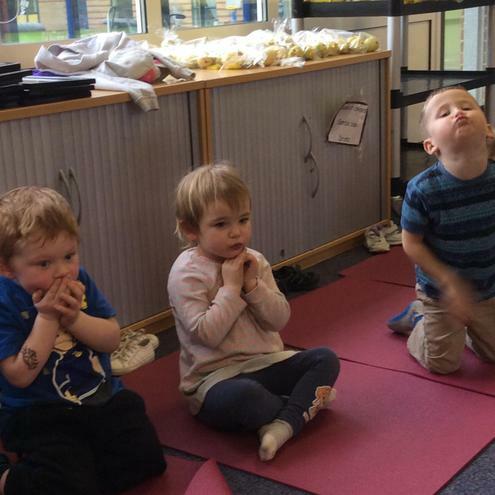 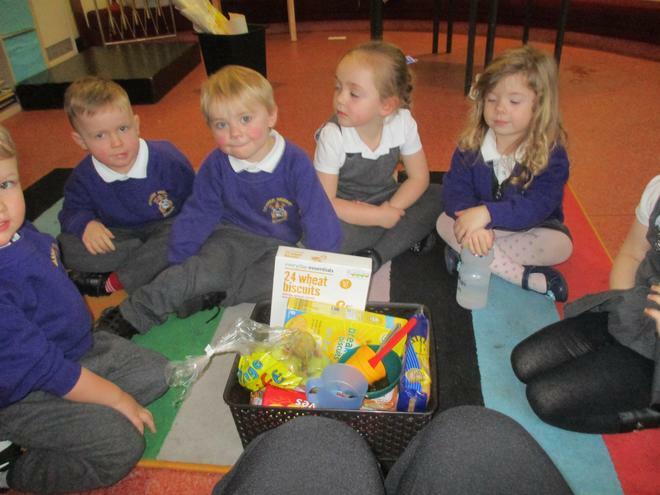 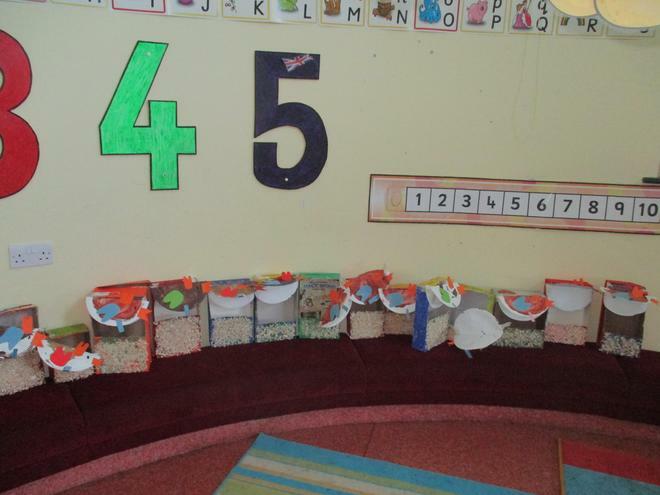 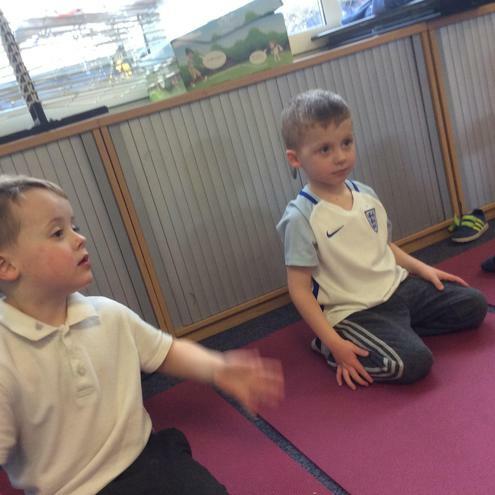 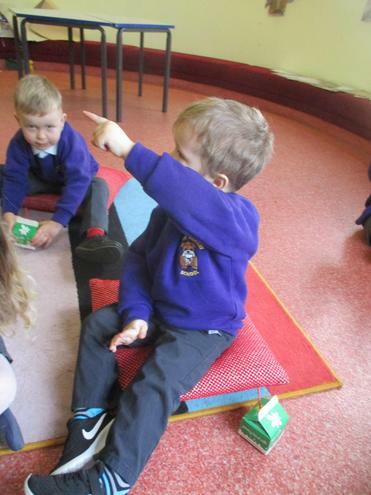 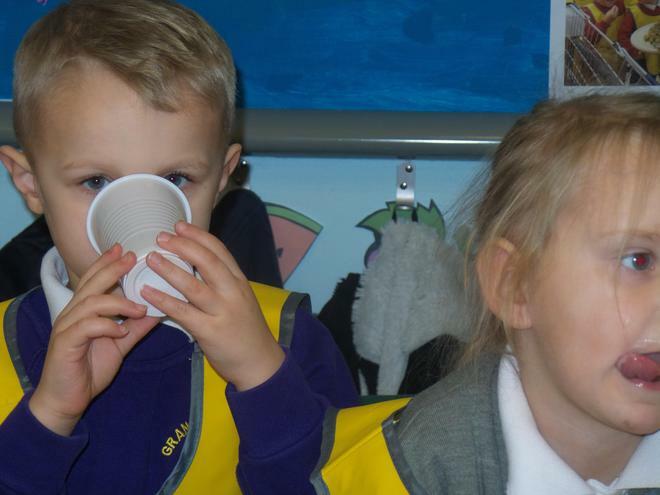 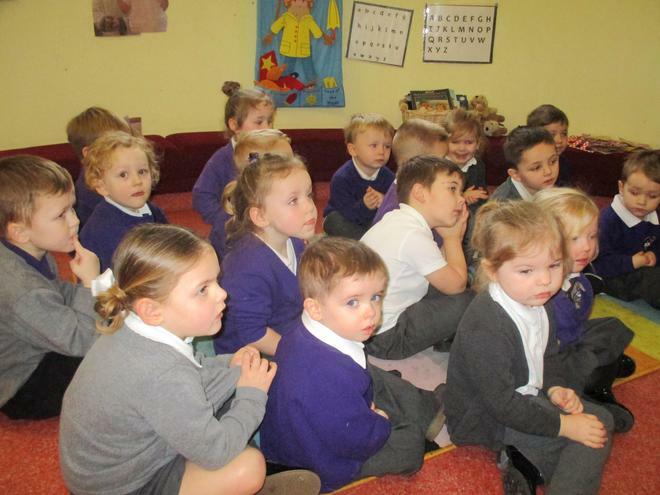 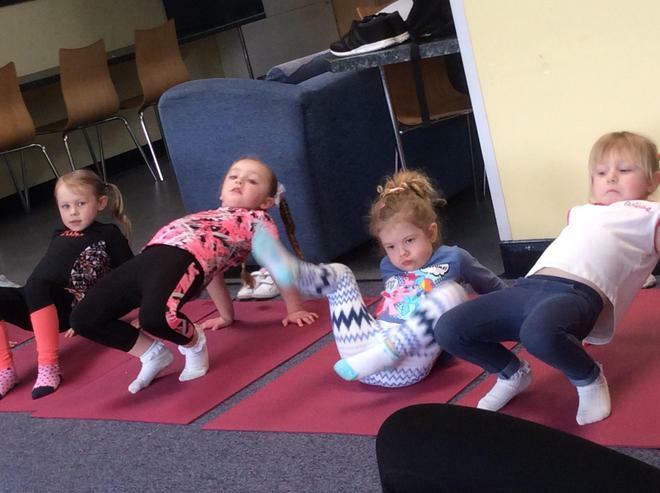 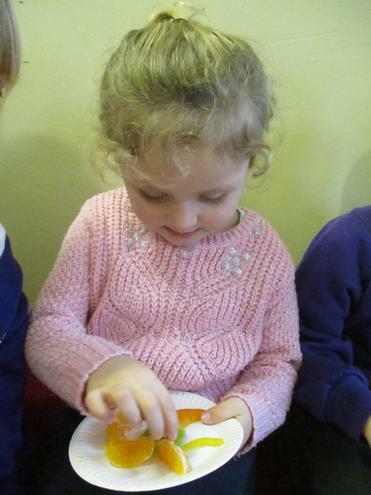 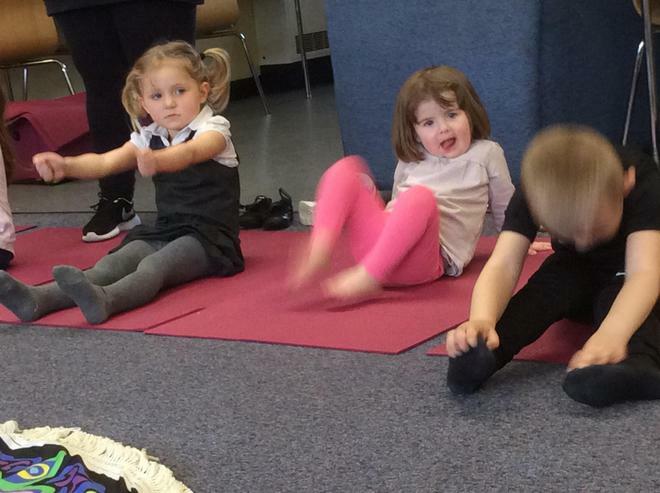 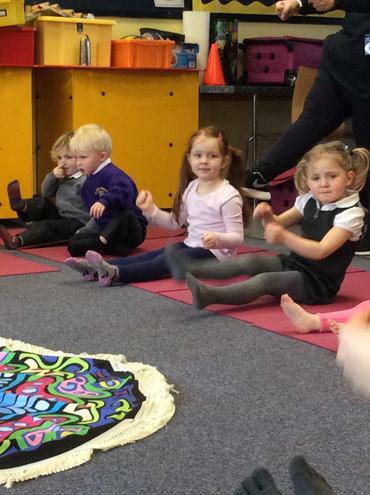 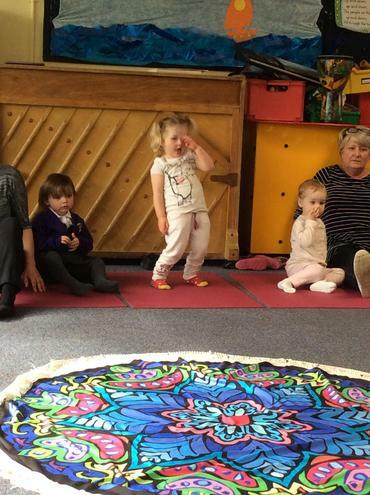 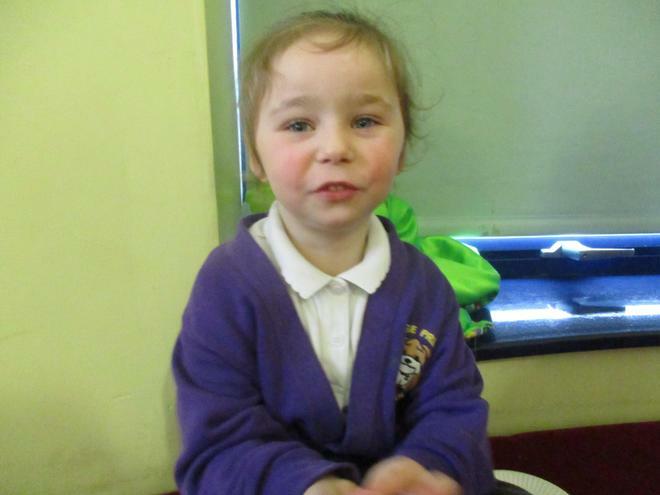 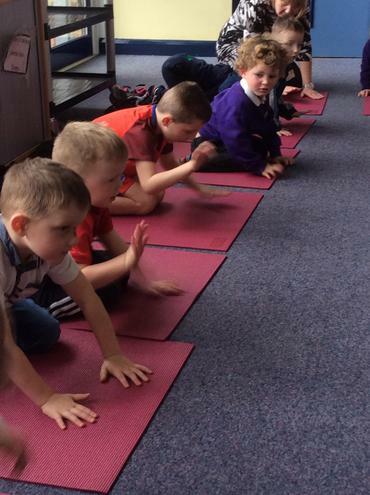 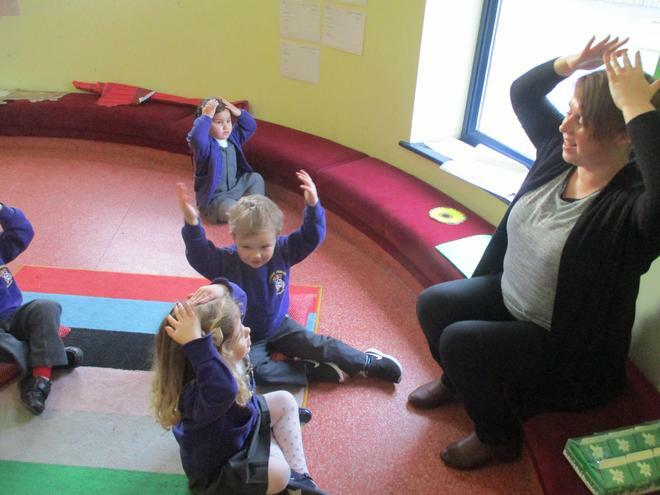 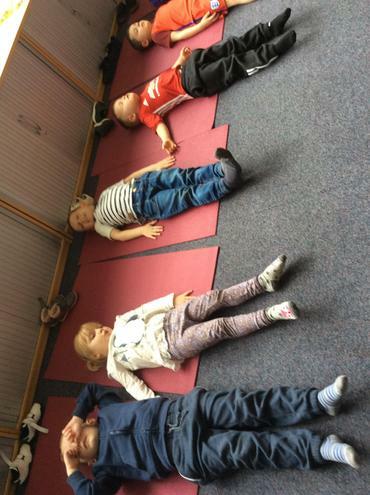 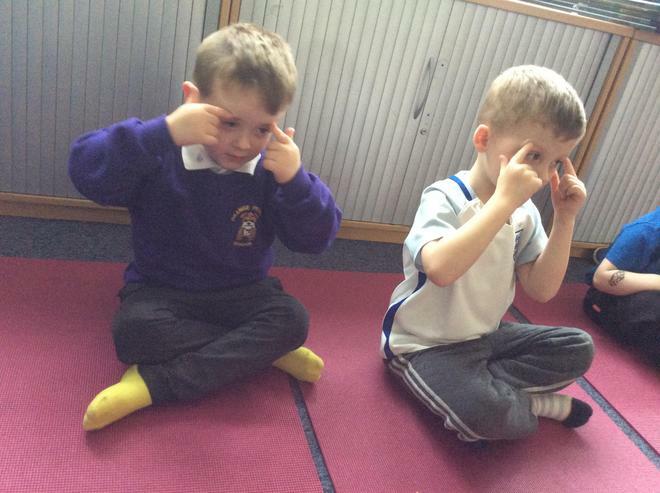 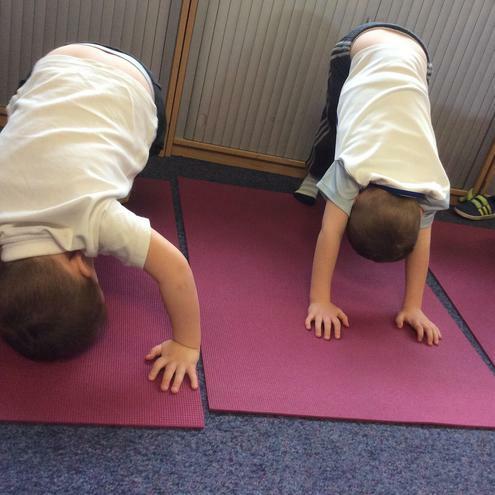 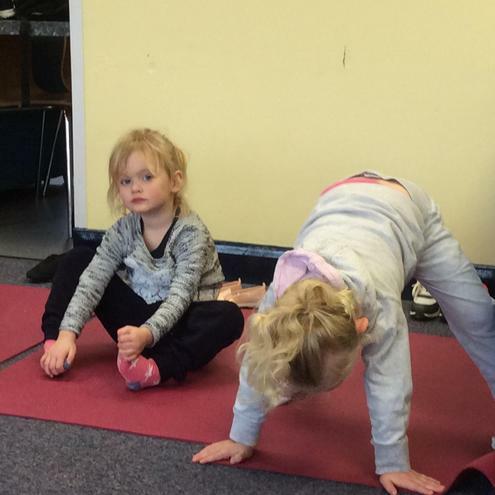 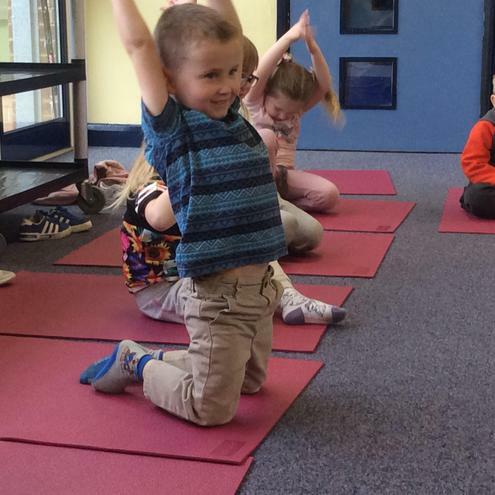 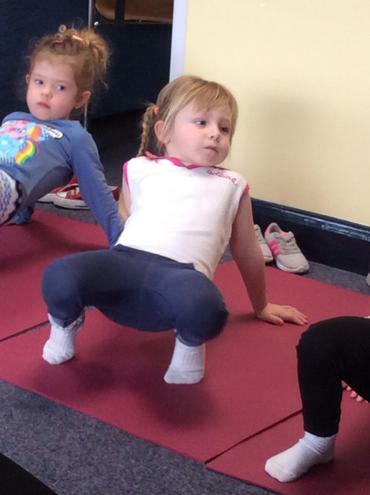 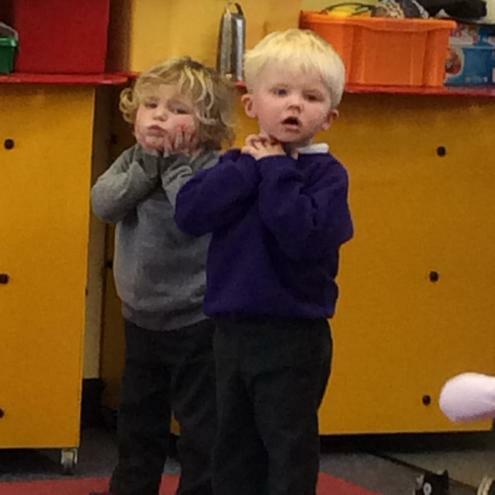 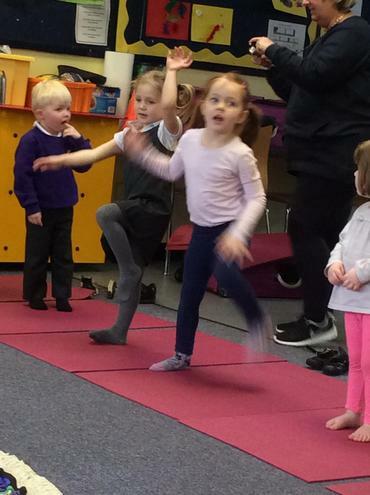 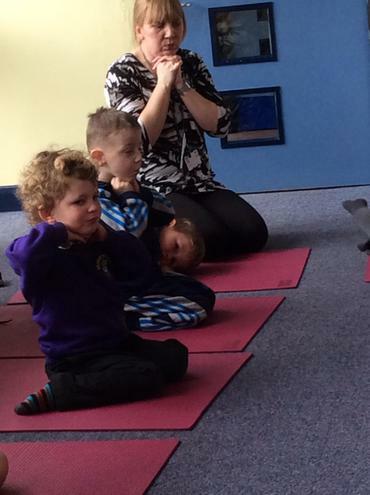 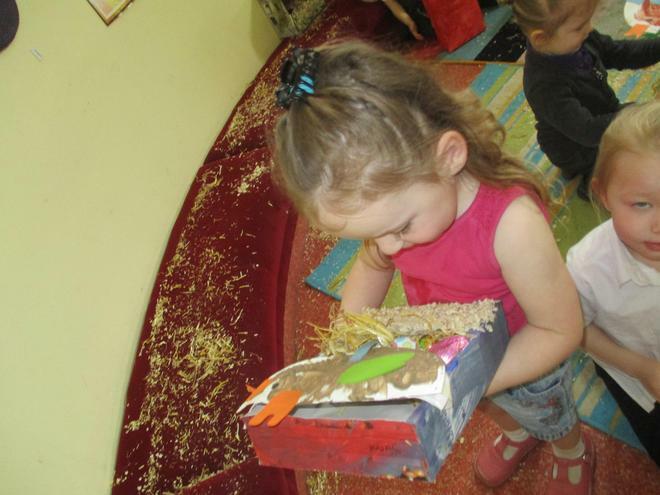 We have talked this week about healthy hands leading to healthy tummies as we want the children to start independently washing their hands after being in the bathroom or outside and if their hands become dirty from painting, playing in the sand, mud etc. 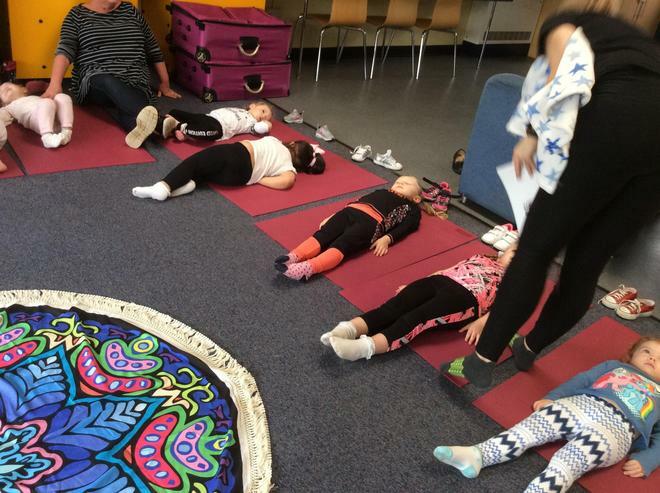 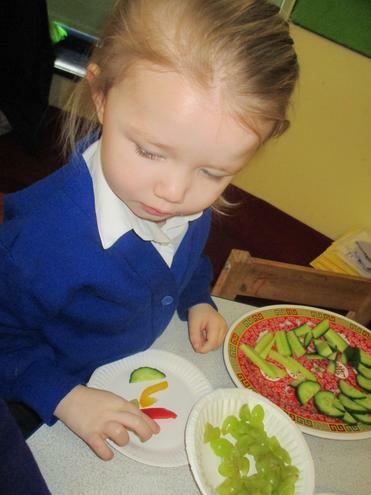 We approached this with them before we start on our healthy eating focus as Im sure you agree it is of upmost importance that they learn this first. 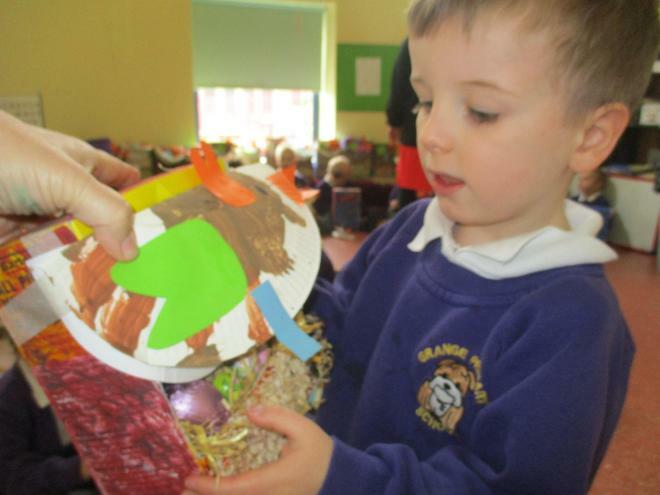 This week is Chinese New Year. 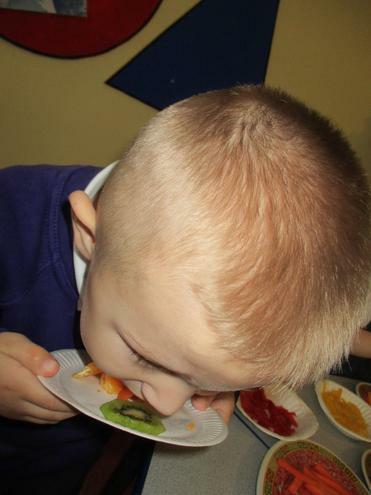 We shall be exploring chinese food so if you too are celebrating, why not bring in a picture of your chinese food and your child trying some?? 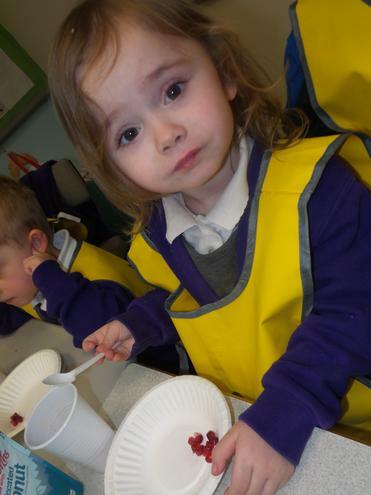 We wash our hands before trying breakfast goodies :) No chocolate in sight though! 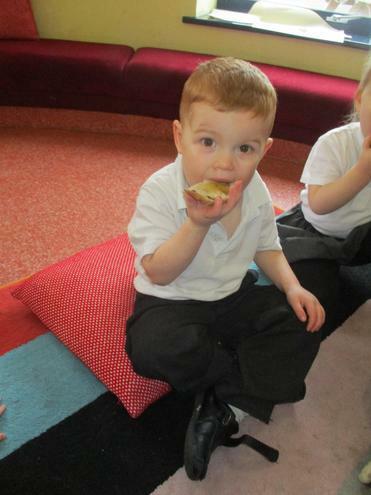 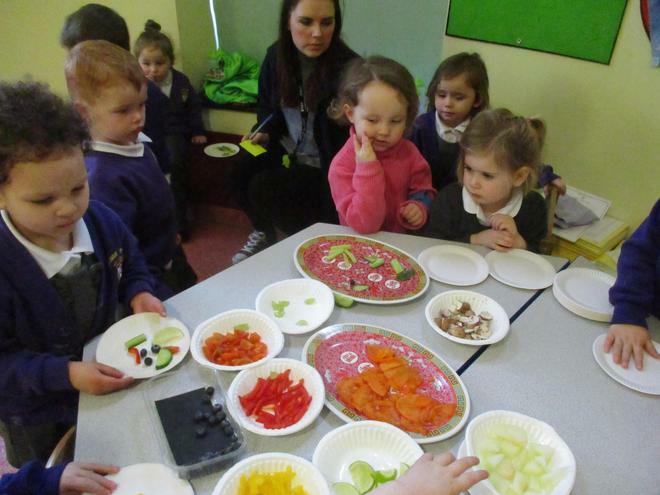 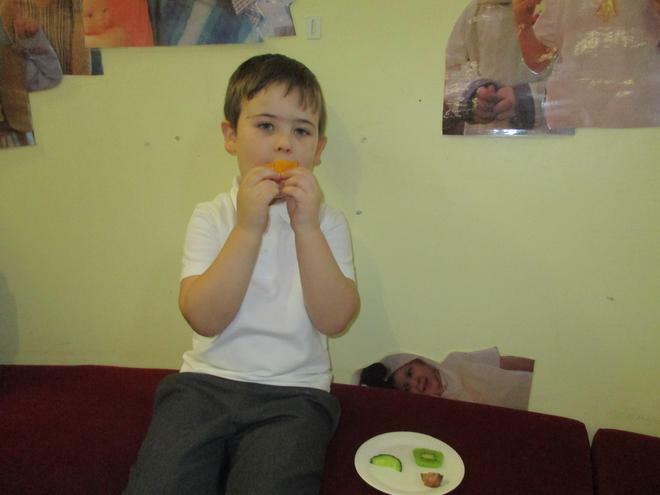 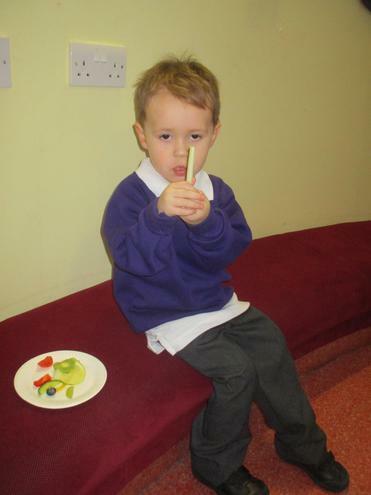 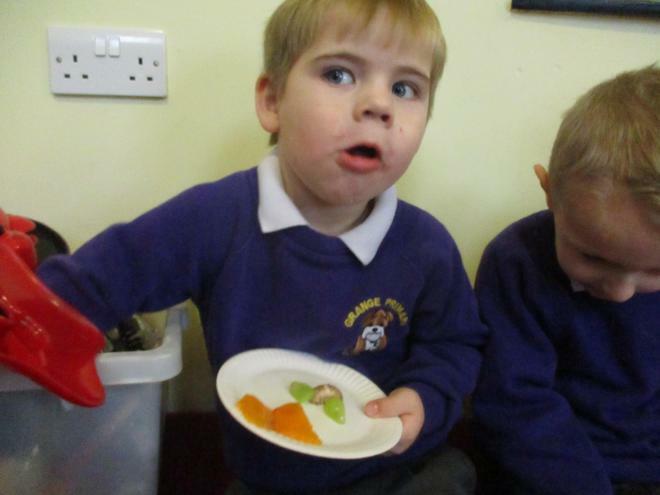 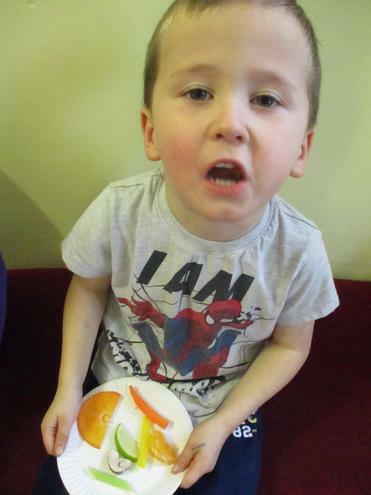 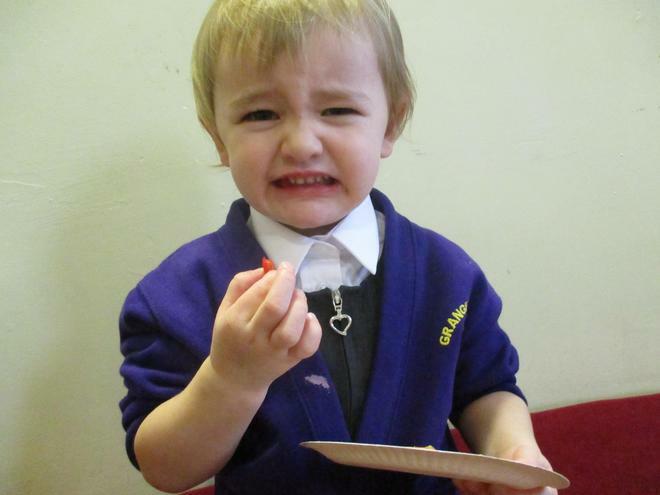 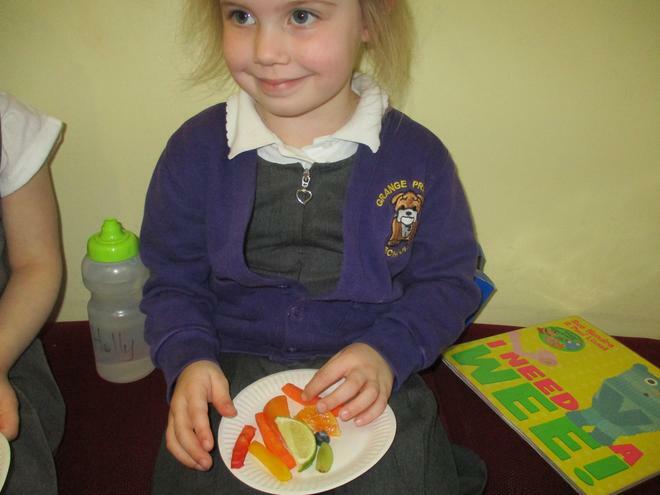 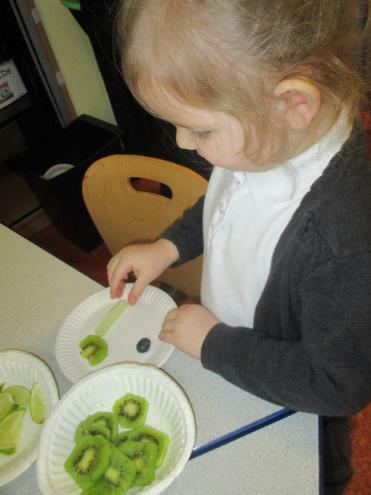 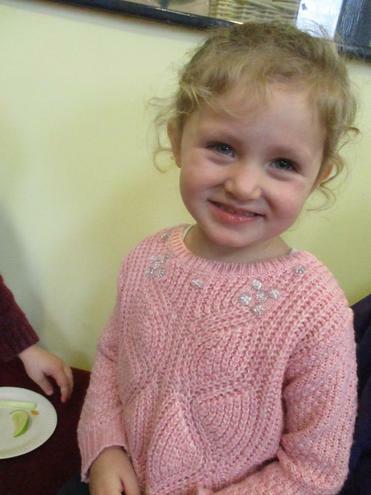 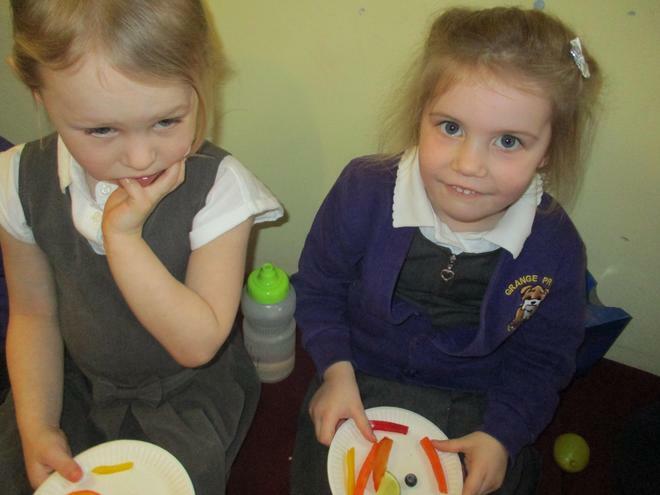 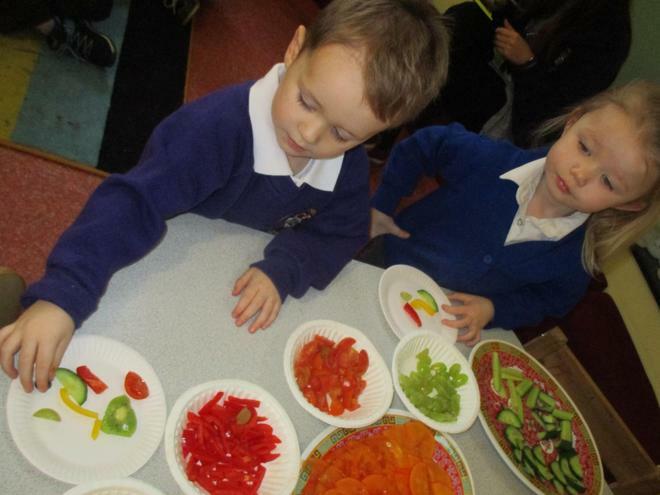 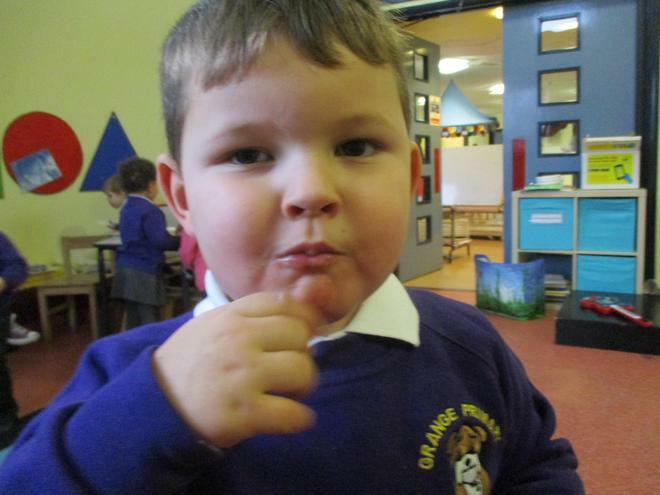 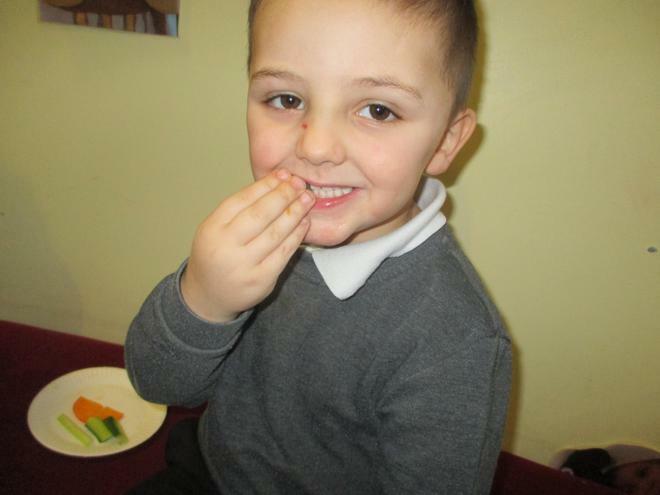 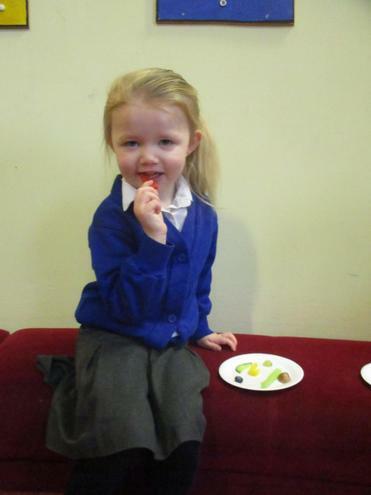 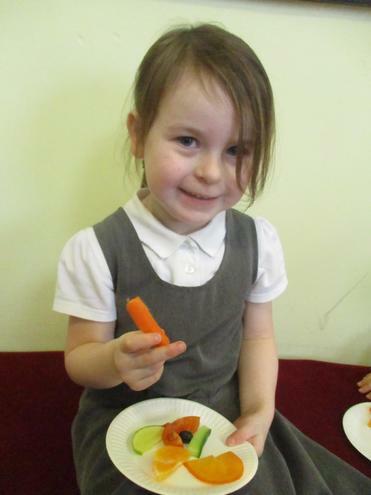 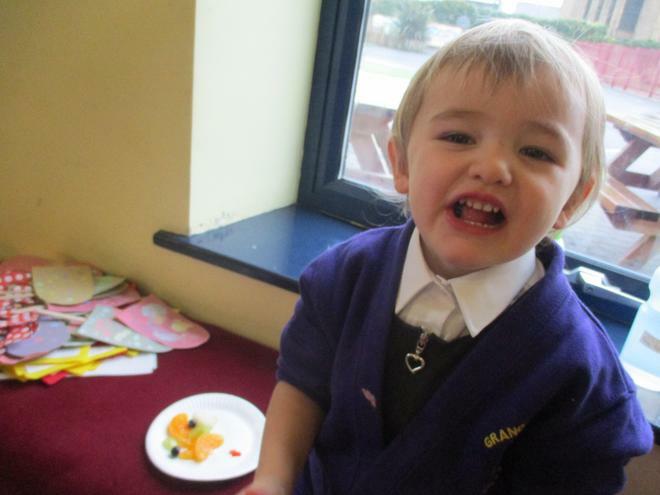 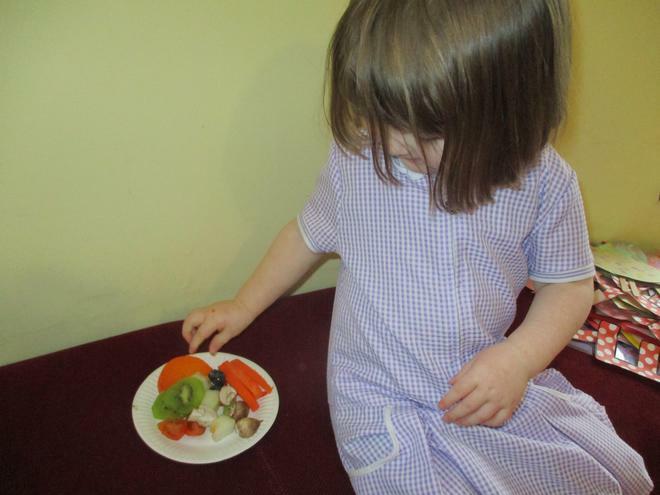 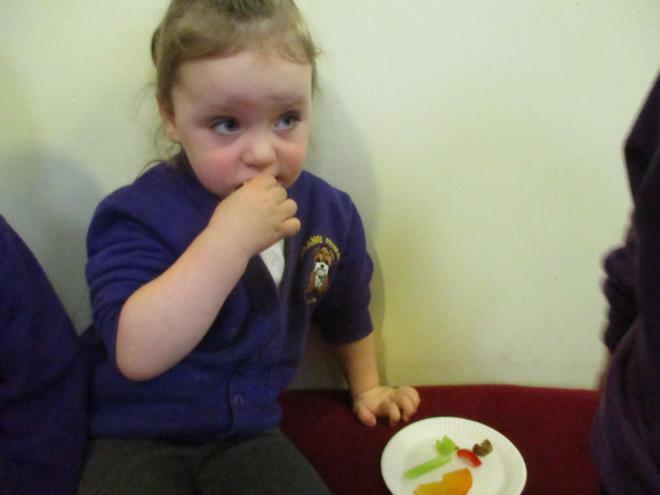 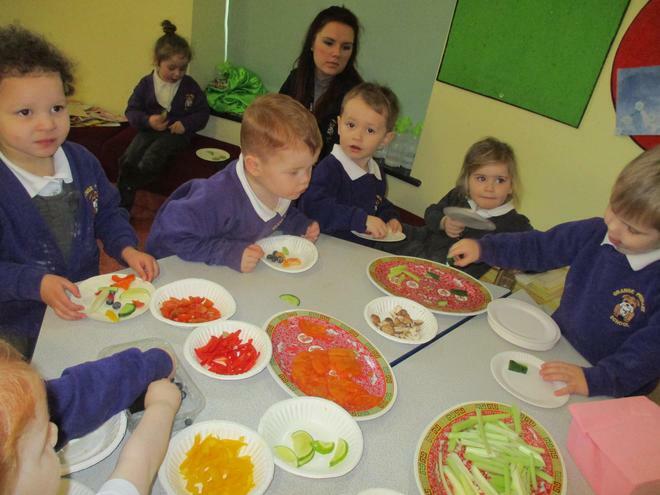 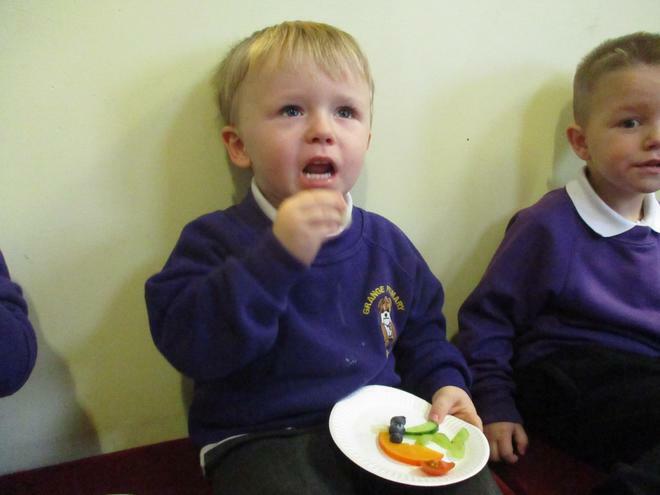 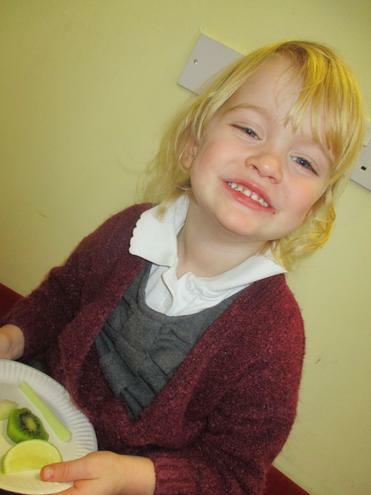 We try lots of fruit and vegetables - we can't say we don't like them if we haven't tried them! 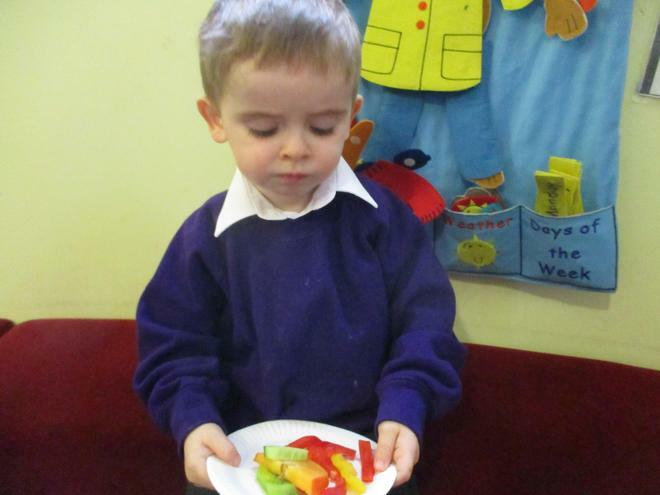 So what do we really know about breakfast options? 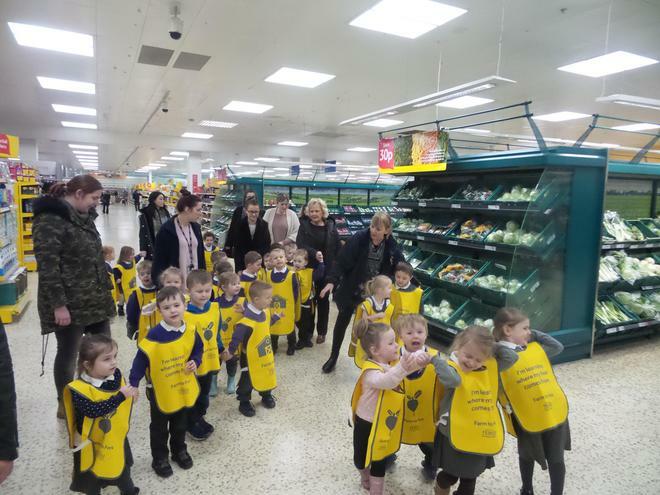 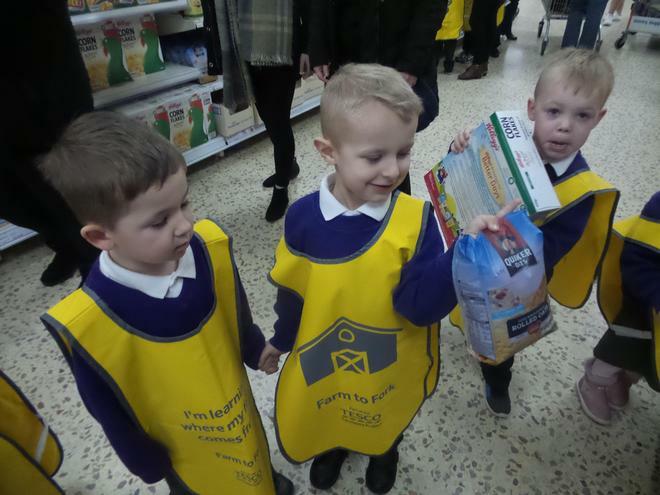 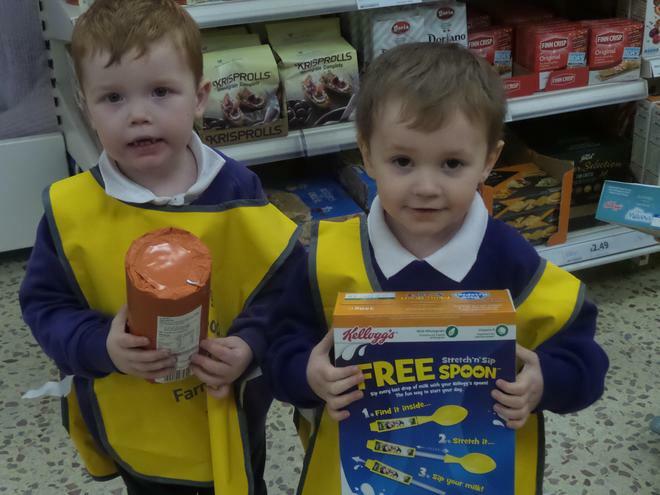 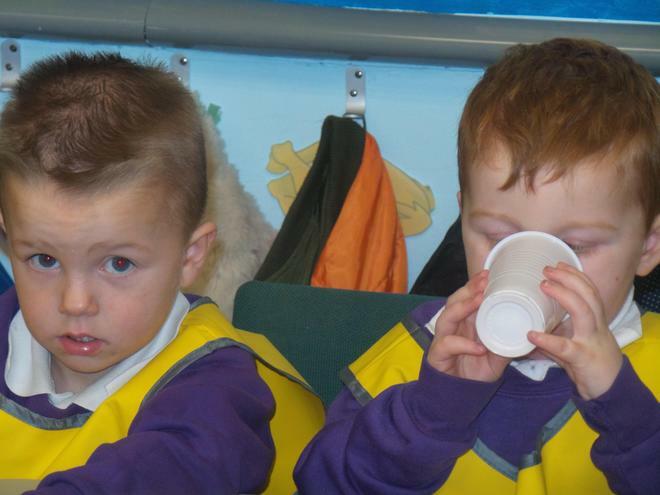 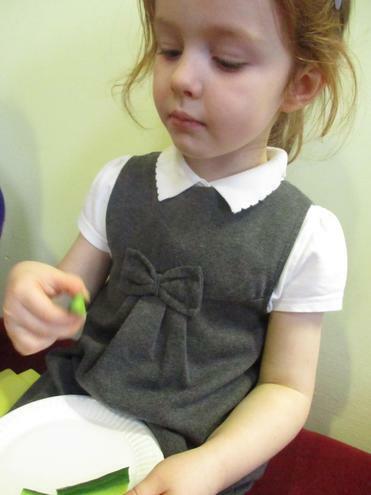 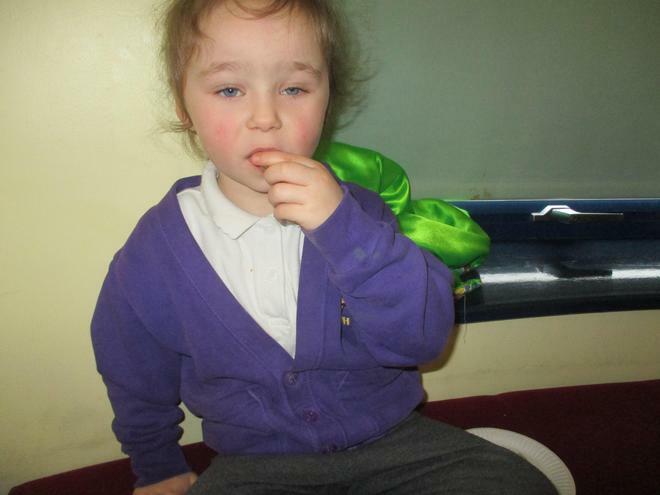 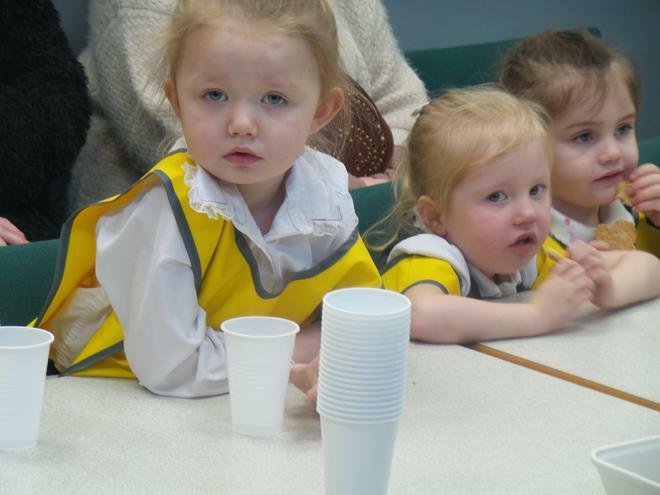 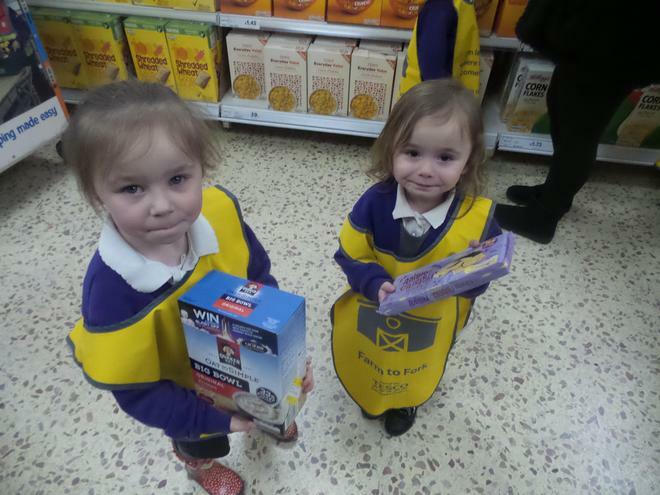 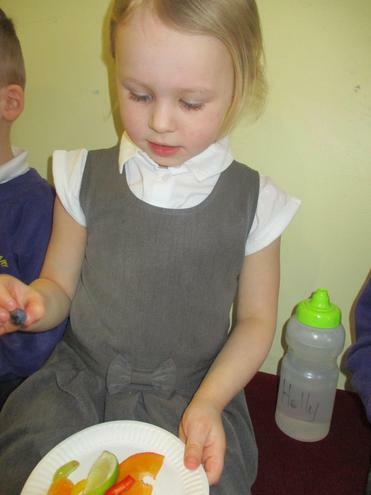 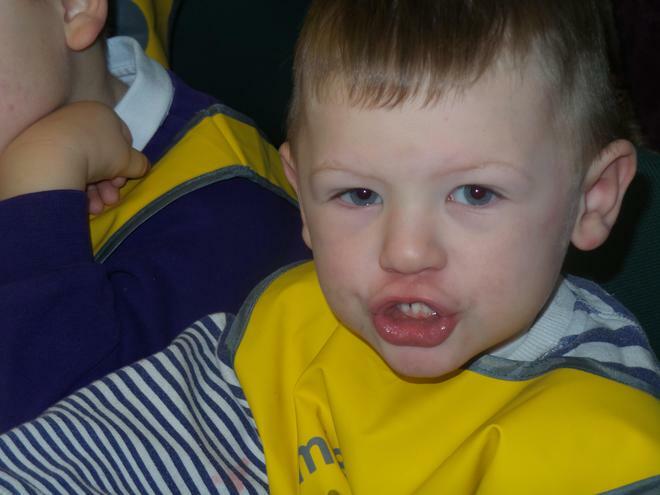 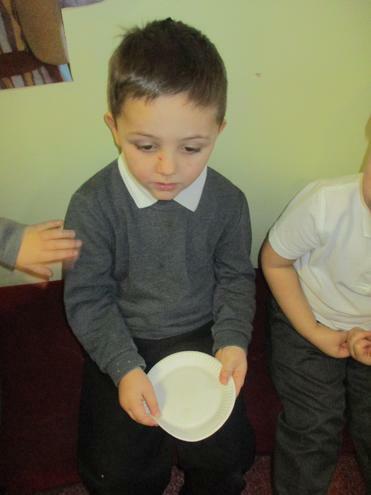 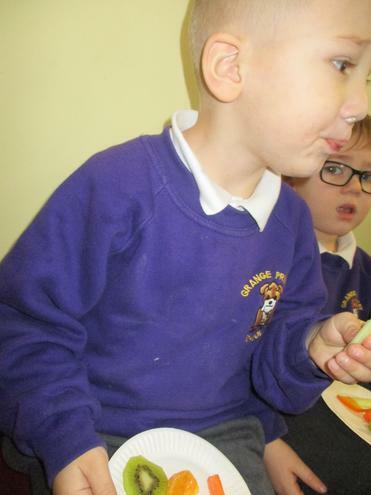 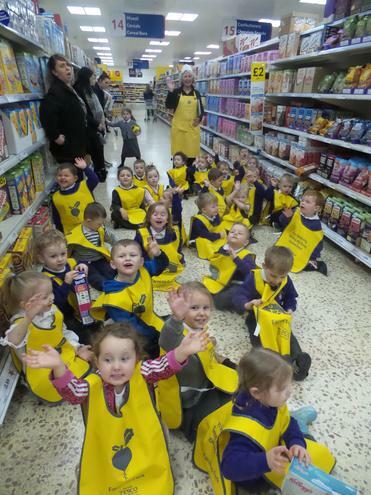 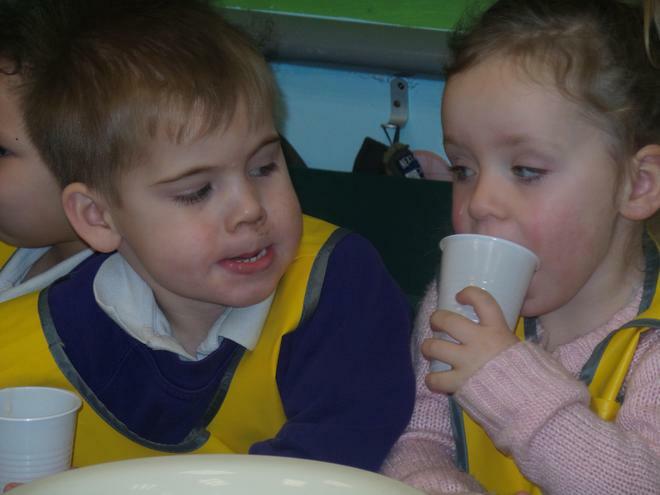 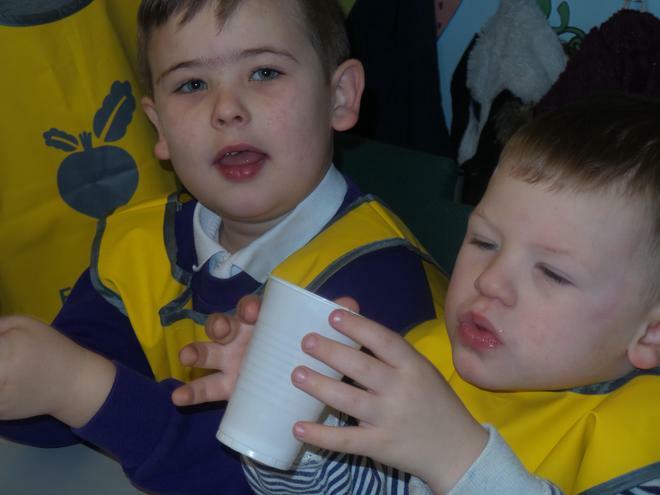 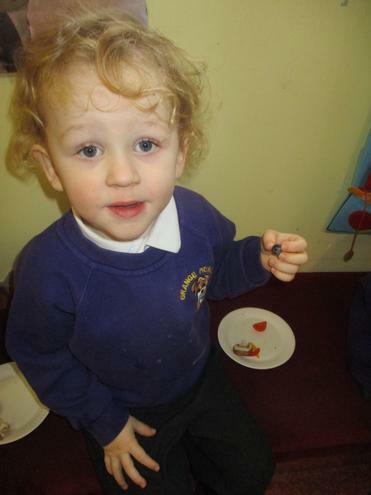 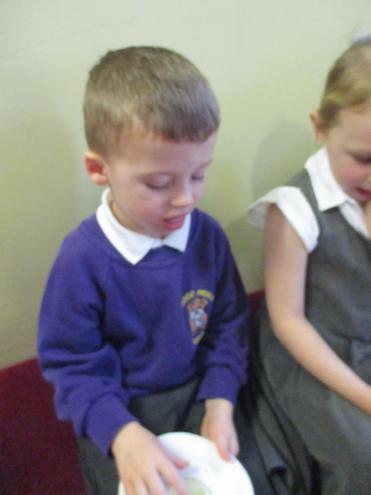 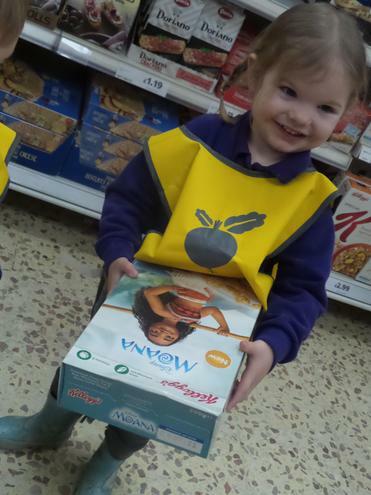 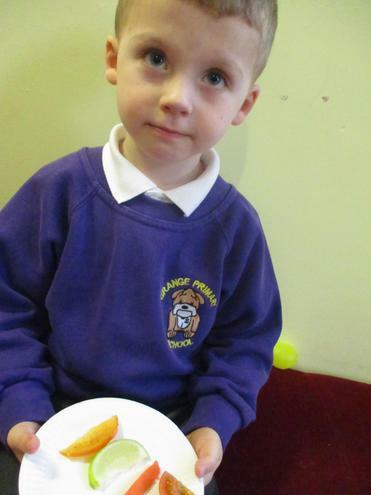 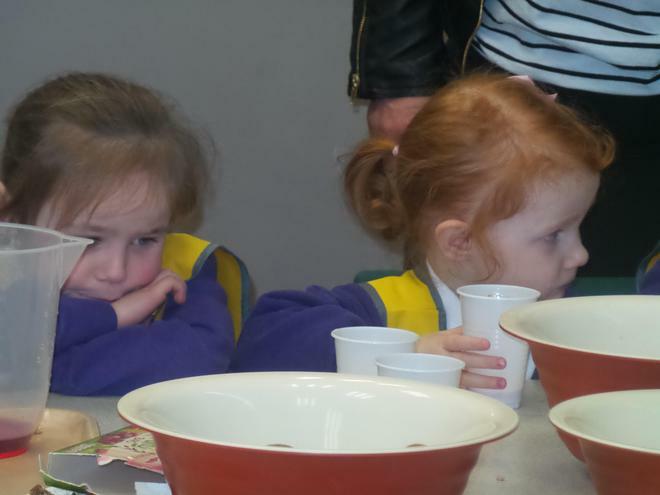 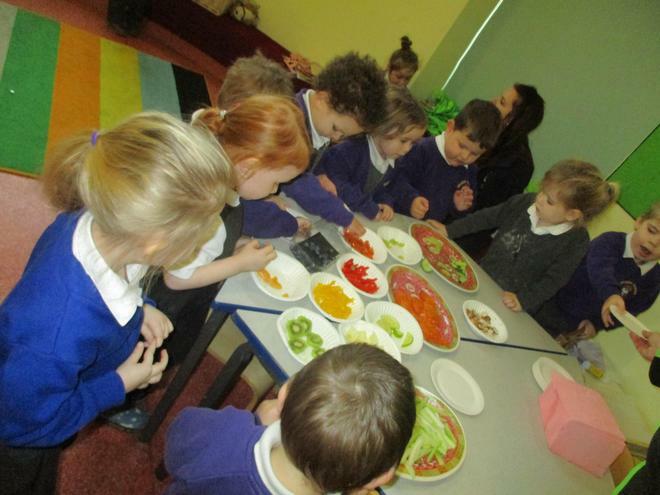 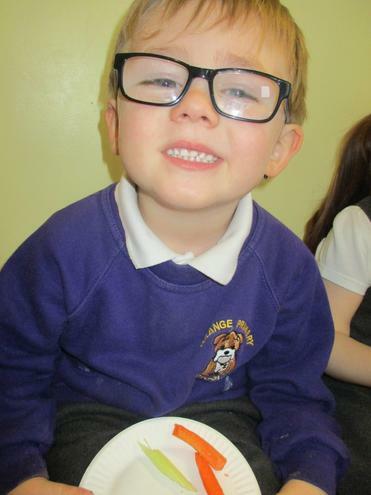 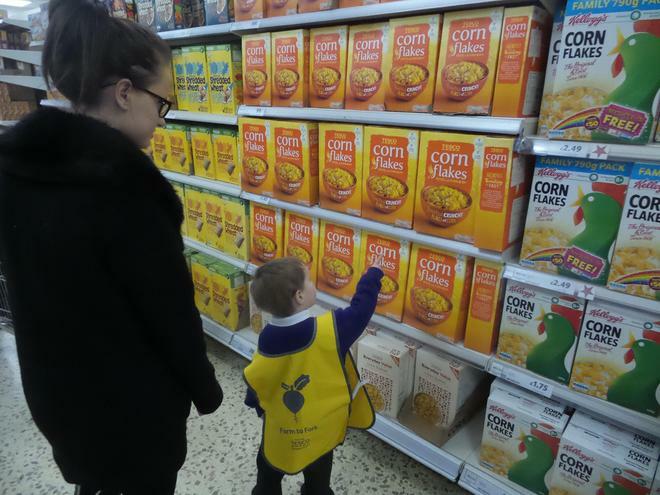 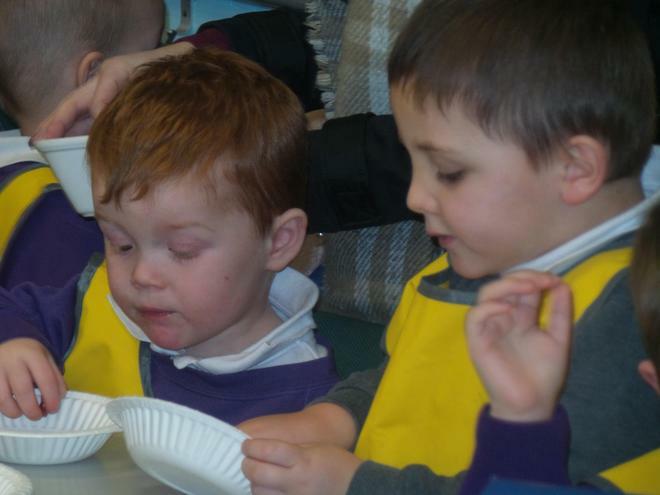 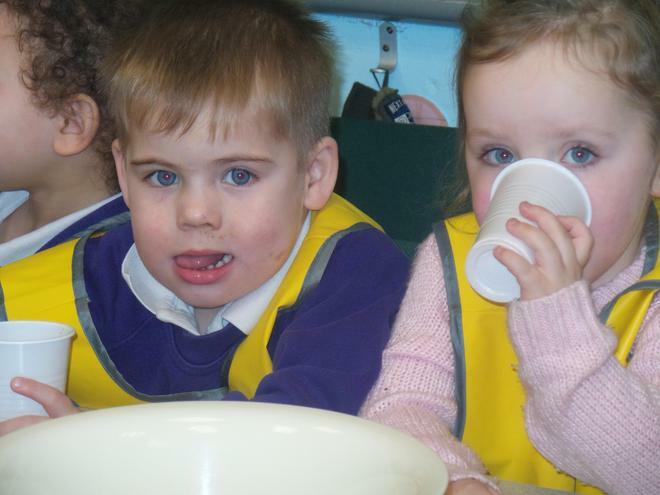 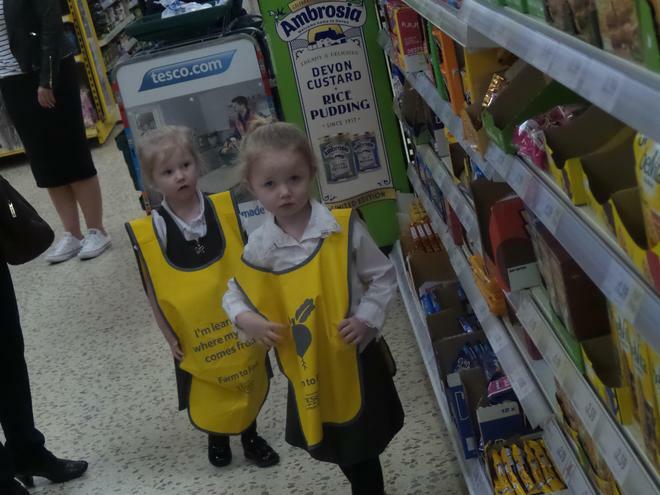 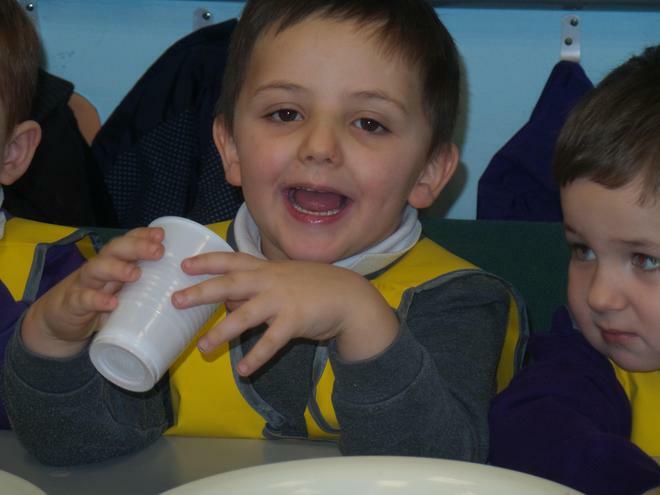 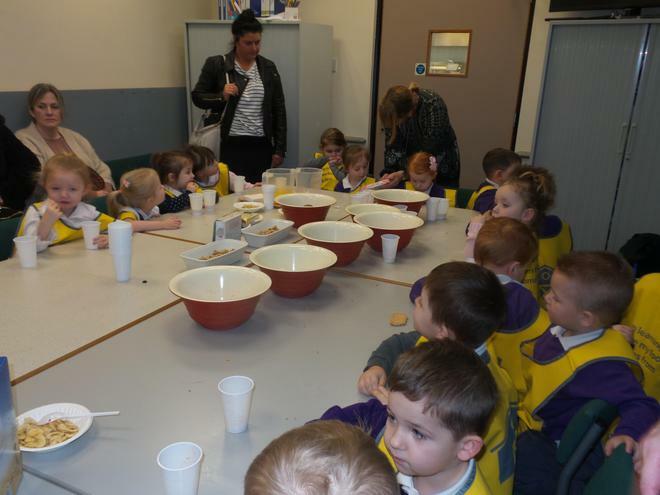 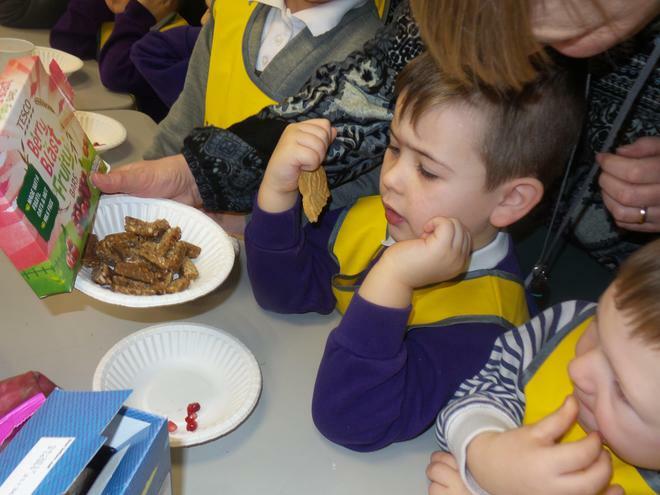 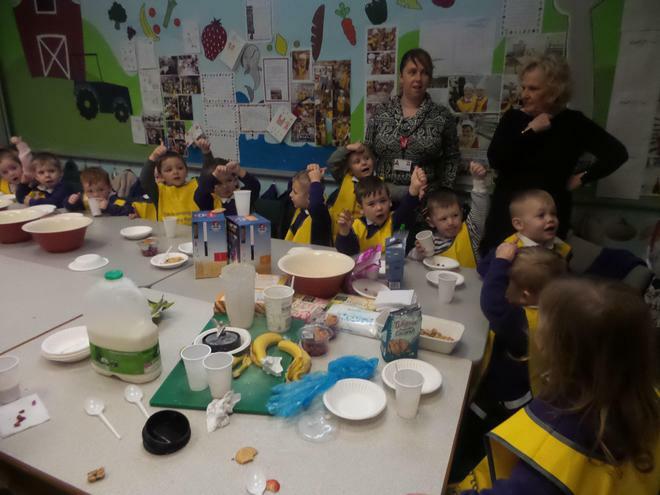 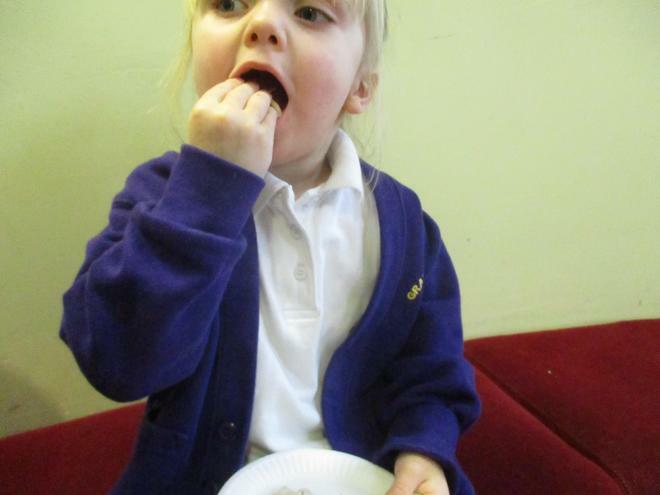 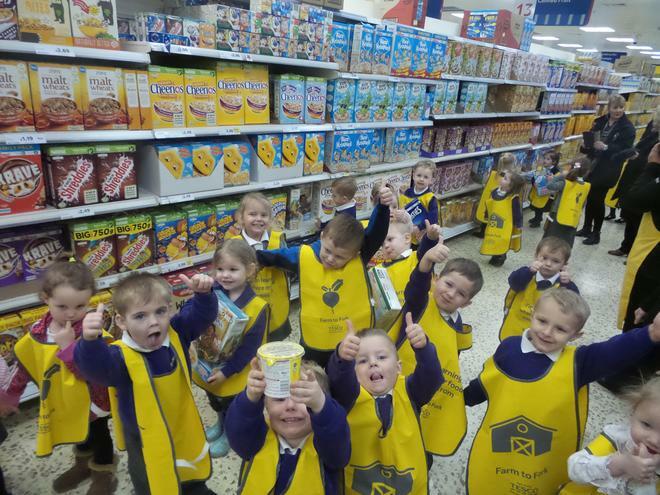 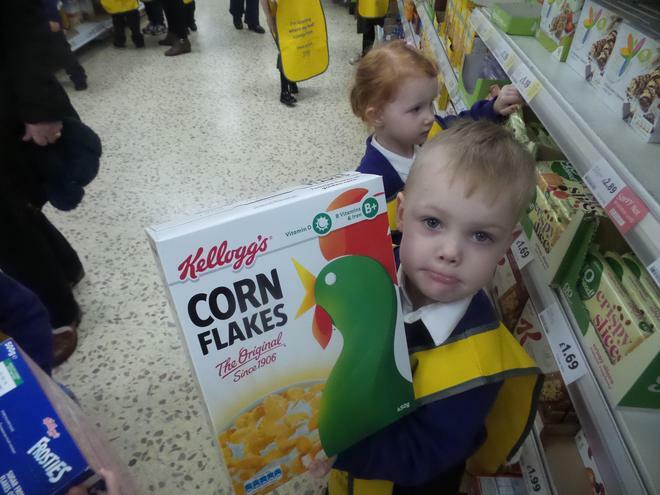 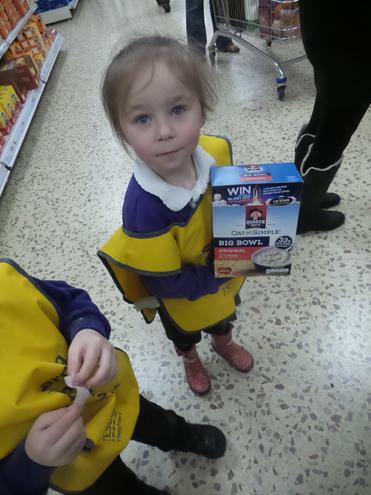 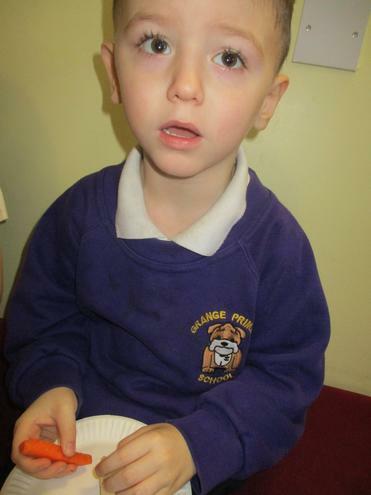 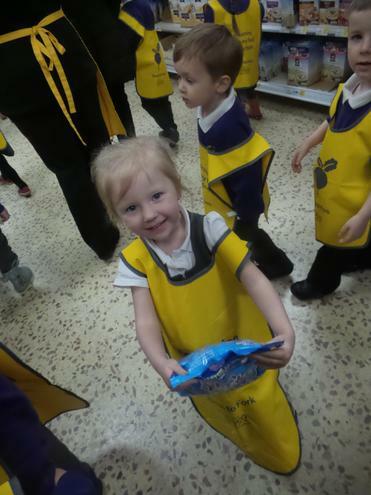 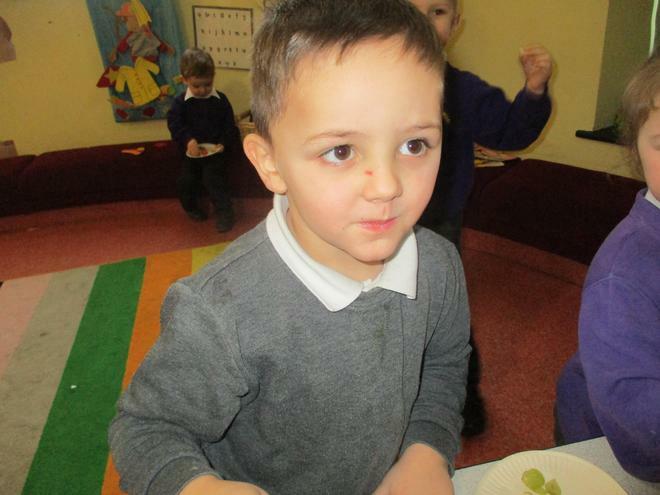 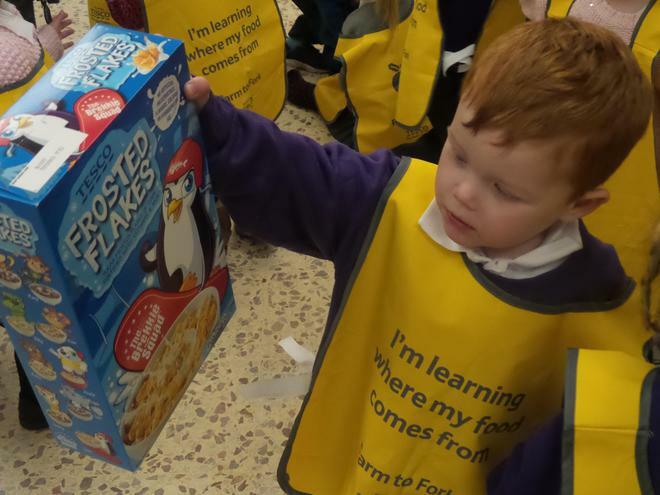 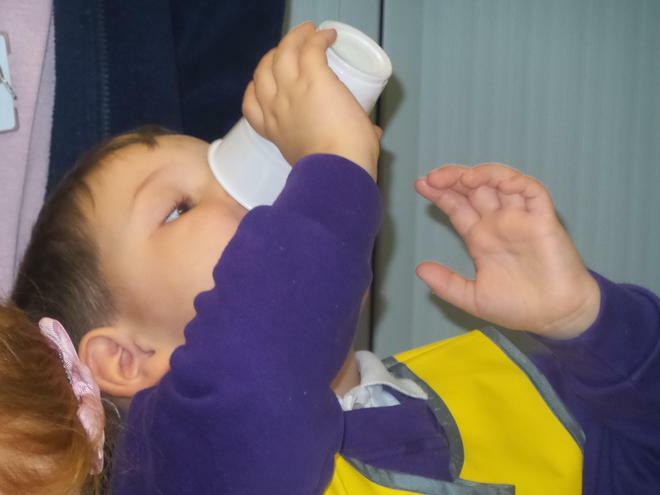 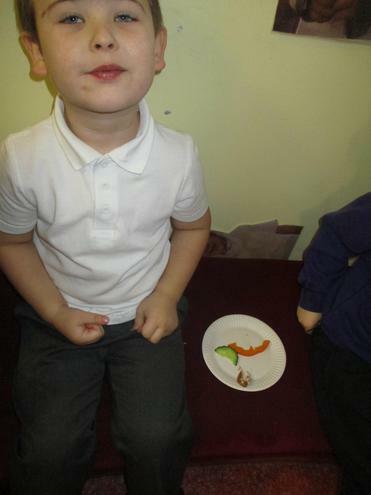 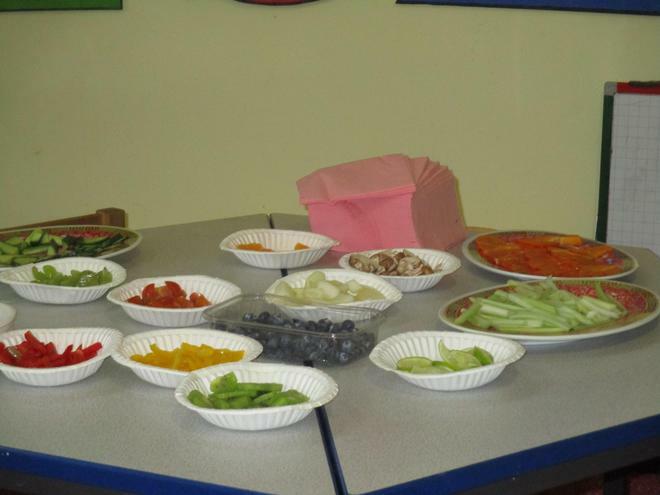 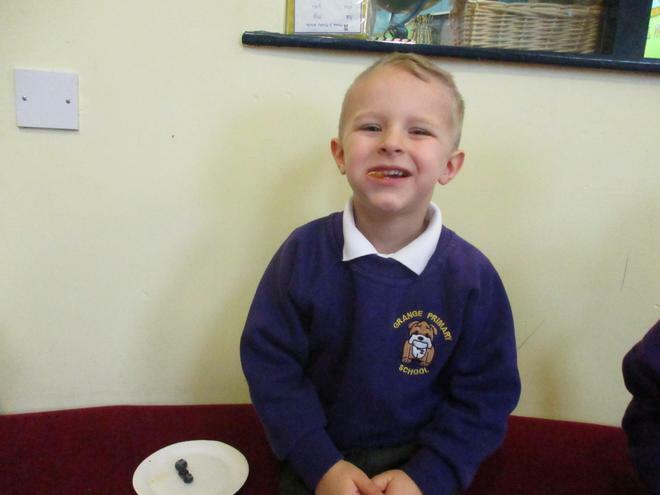 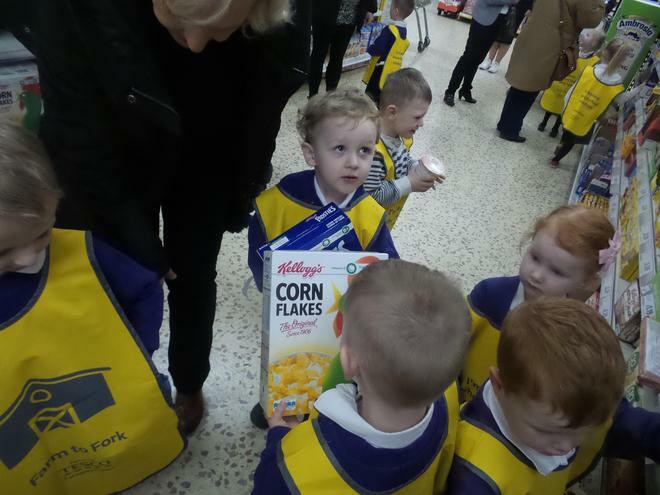 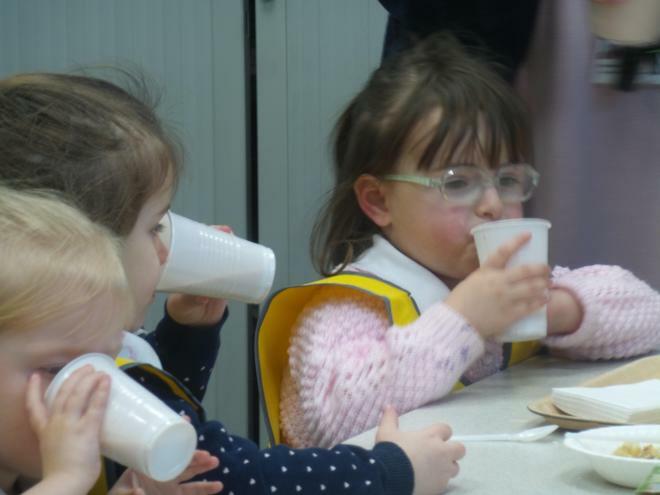 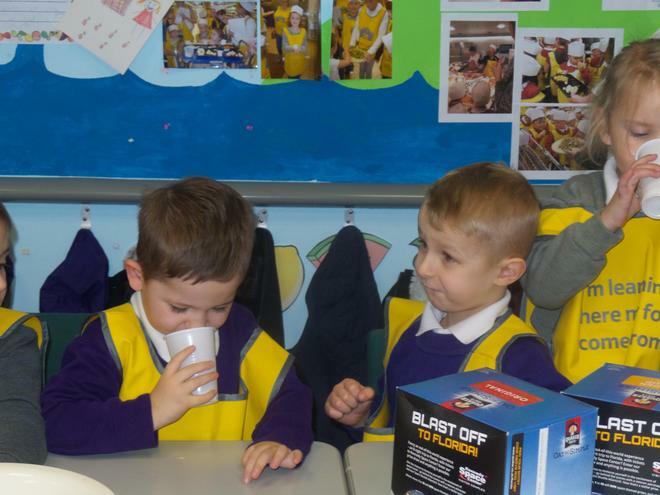 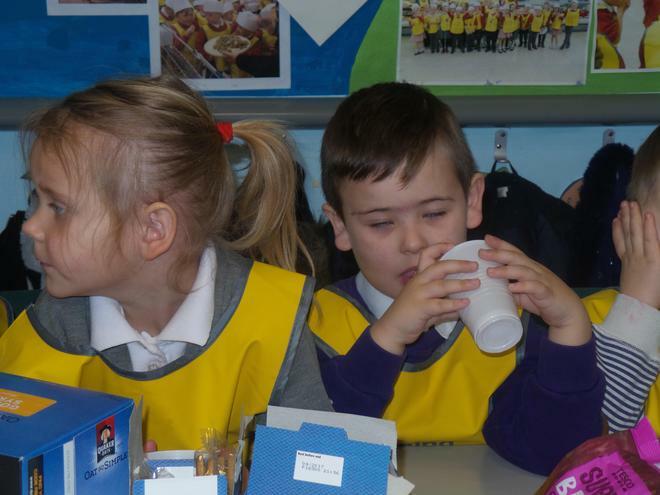 The children have had the chance so far, to explore different kinds of food that we traditionally have for breakfast. 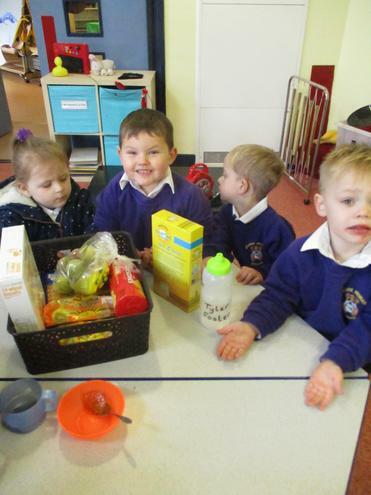 Toast, waffles, cereal, fruit and croissants have all been explored and discussed. 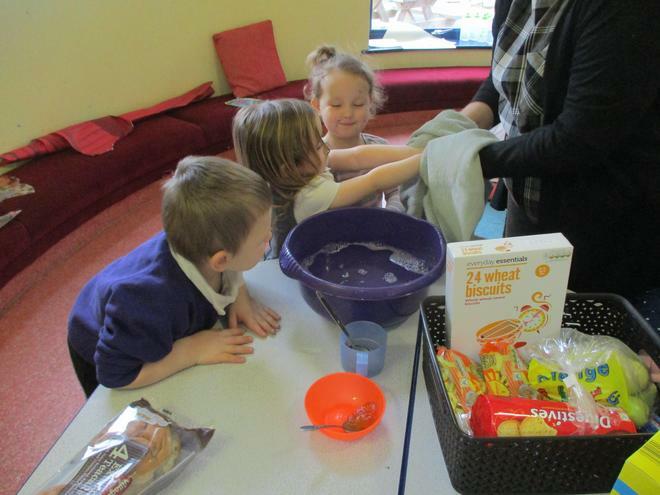 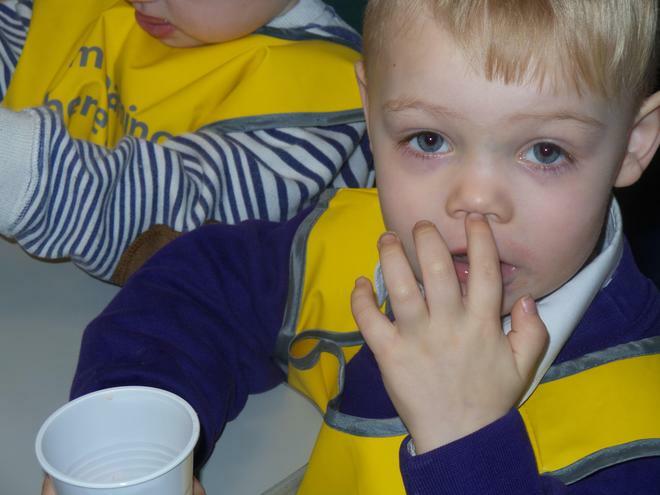 A big part of this topic is also developing the children's understanding of the importance of hand washing before eating. 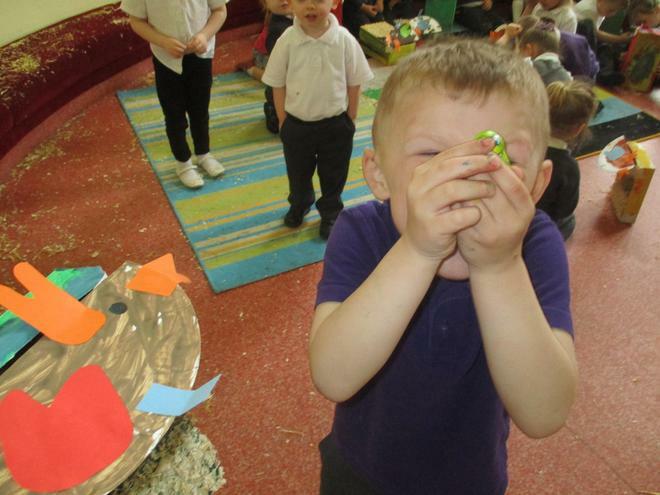 We had some fun with the smelly soap :) Watch out for our investigation station in nursery which will be aimed at allowing the children to explore foods, textures and develop a concept of where their food comes from. 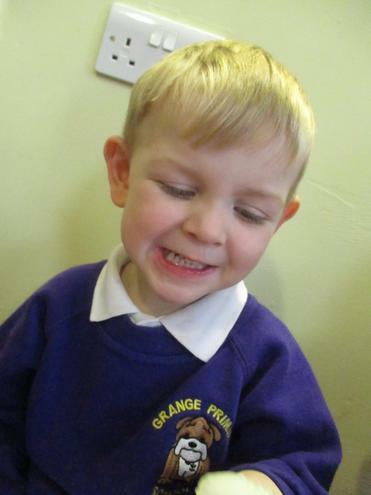 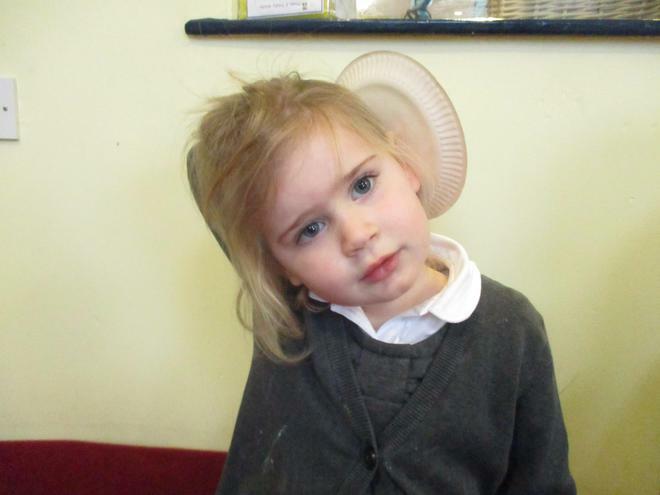 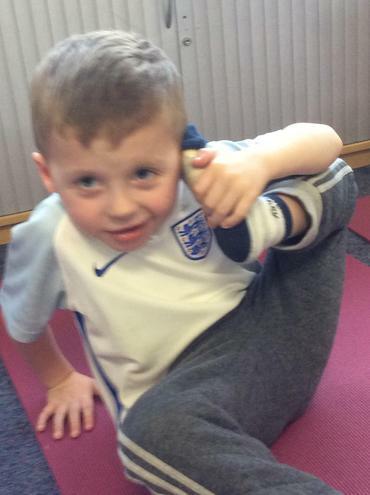 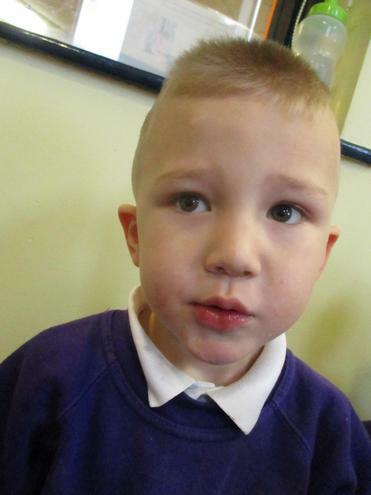 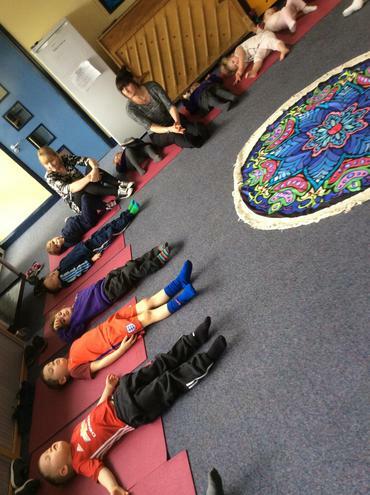 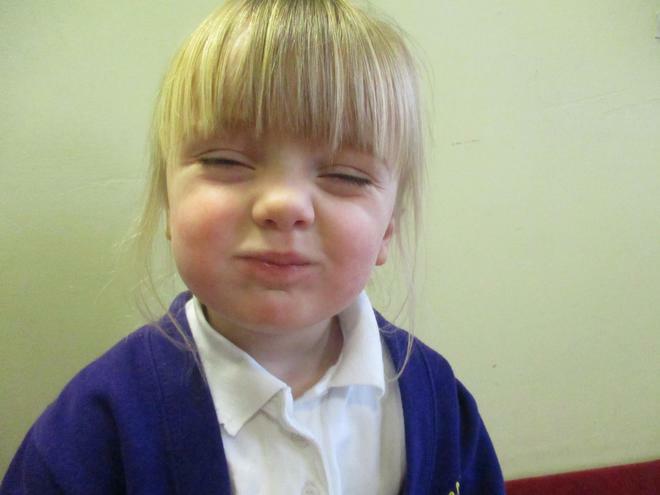 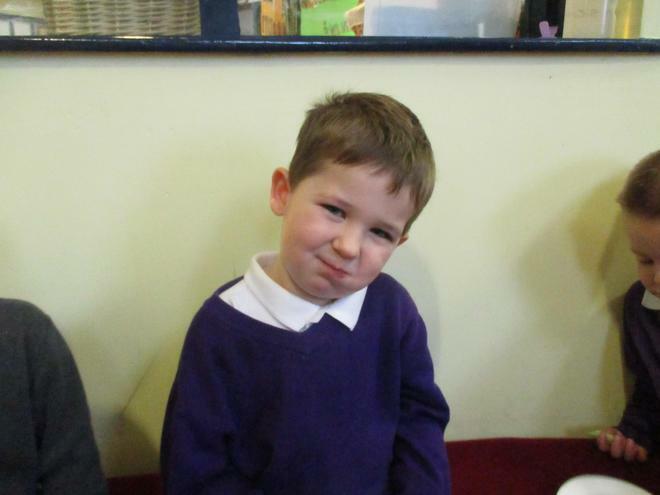 Welcome back to a new term at Grange with your child. 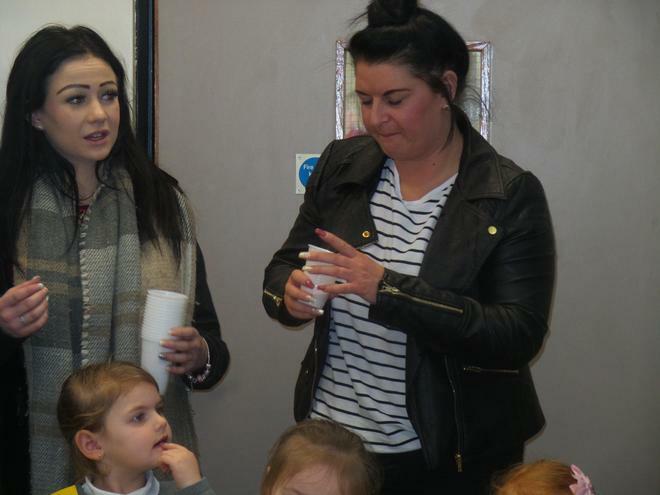 We welcome Miss Gibney to our team this term and we are sure she will enjoy our exciting curriculum. 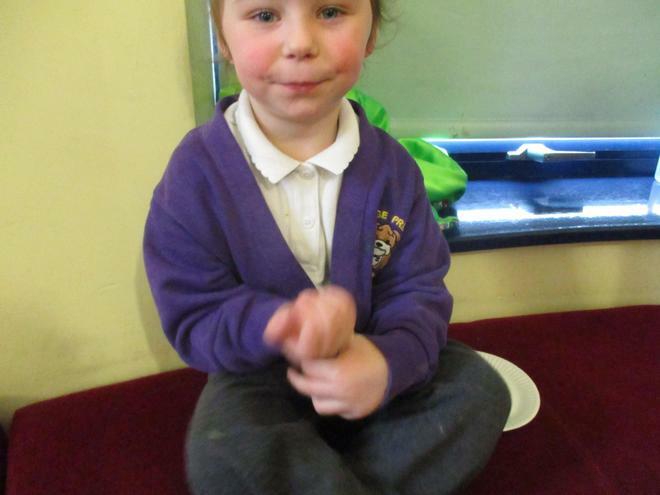 We shall be exploring the topic "Why can't I have chocolate for Breakfast?" 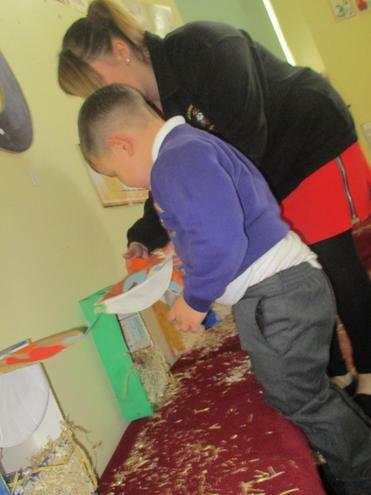 so if your child asks, this is where it has come from! 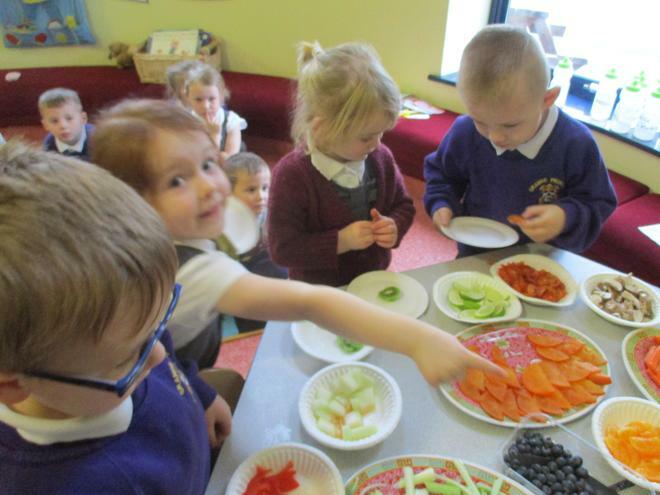 It shall be part of a healthy food topic but we shall explore wider than this as we develop an understanding of where food comes from, how to use foods in making meals and what constitutes a 'healthy' breakfast. 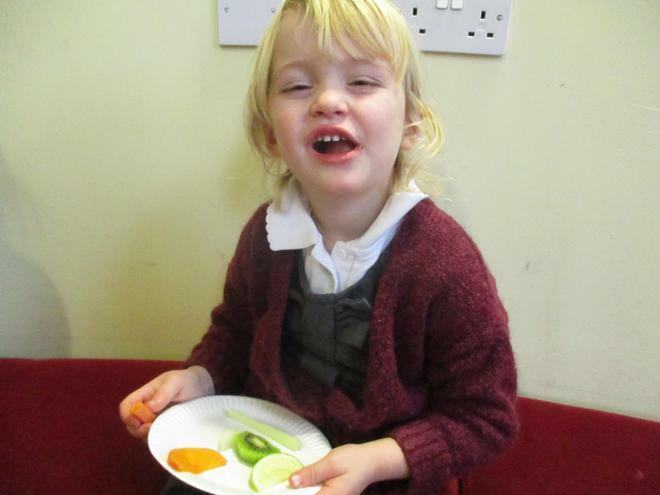 We shall also be having a focus on Dentists and how we need to look after our teeth. 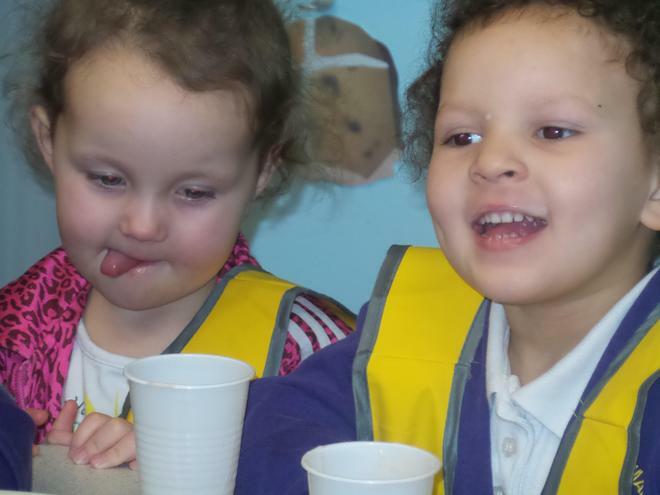 We look forward to sharing events with you all after such great support last term. 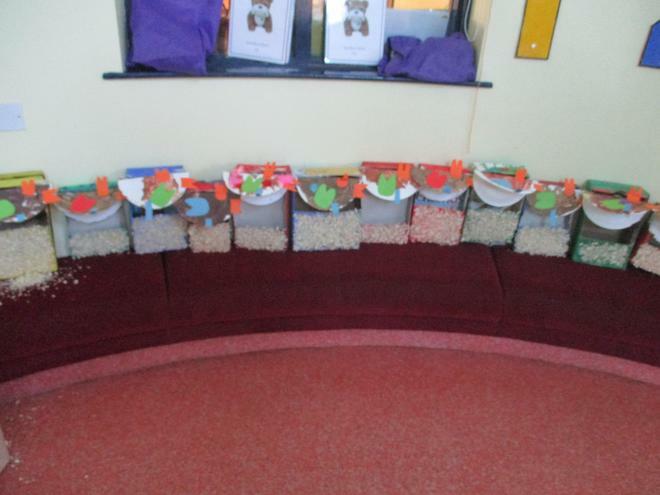 Homework shall be starting on Monday but we would really appreciate some stories from home for our wall so we can talk to your child about what they did over Christmas. 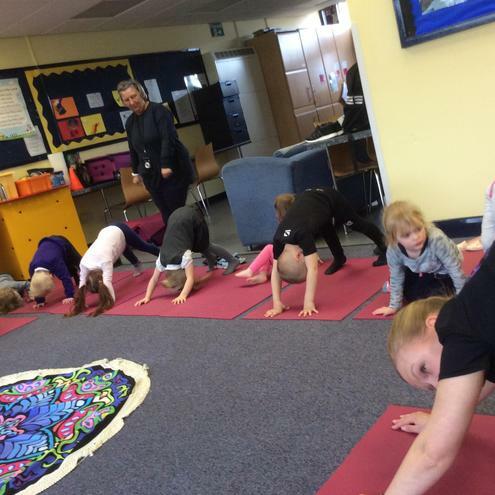 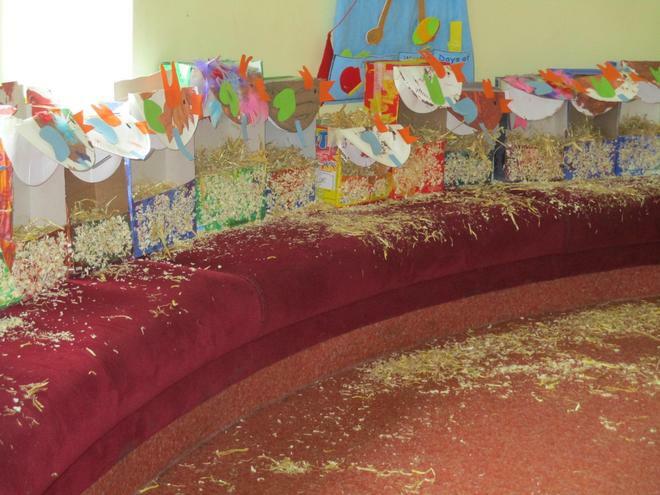 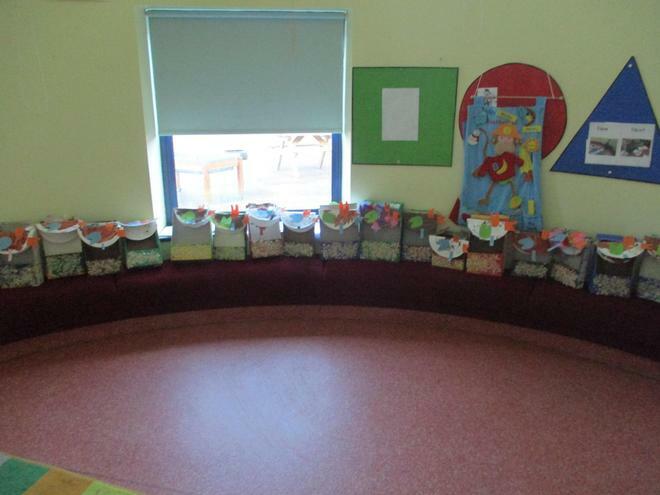 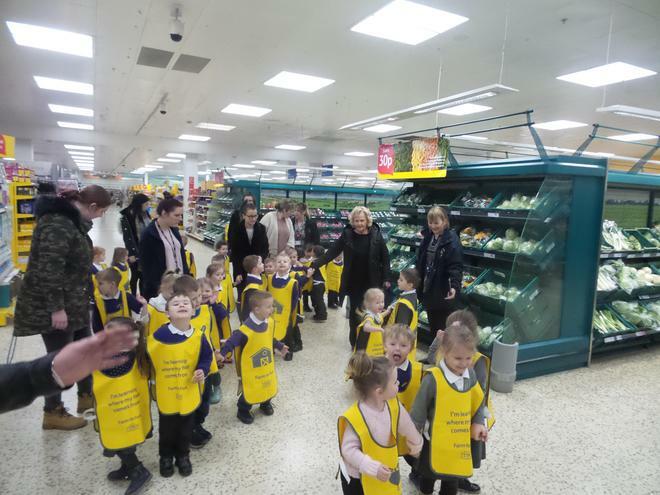 Thankyou kindly, Nursery Staff.